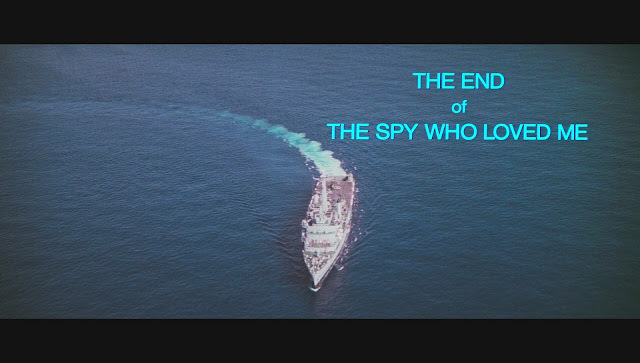 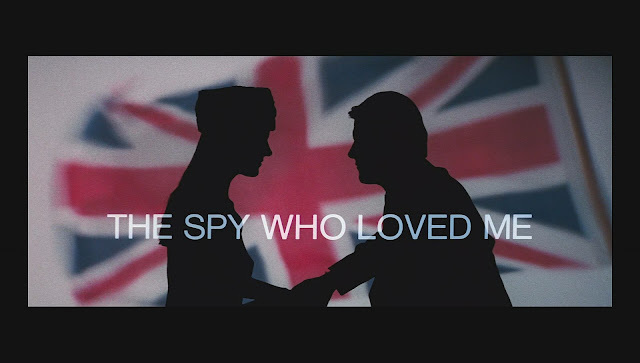 Supervised by Derek Meddings at his best, this is one of my all time favorite model ship movies which boasts possibly the largest ship miniature ever built at a length of 63 feet (19m). 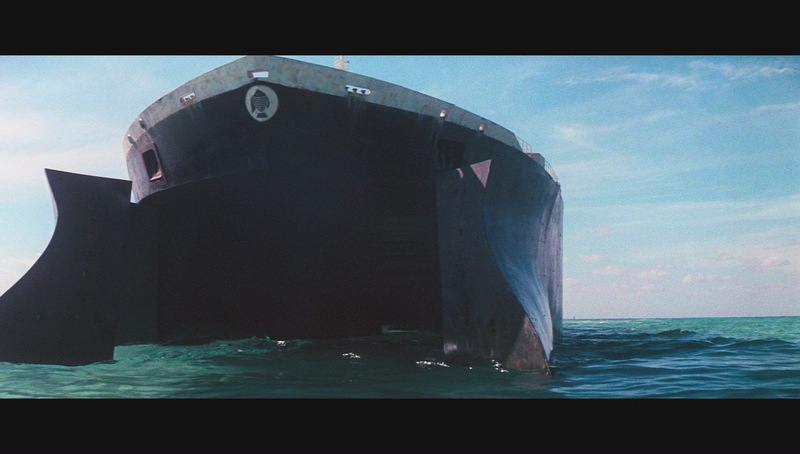 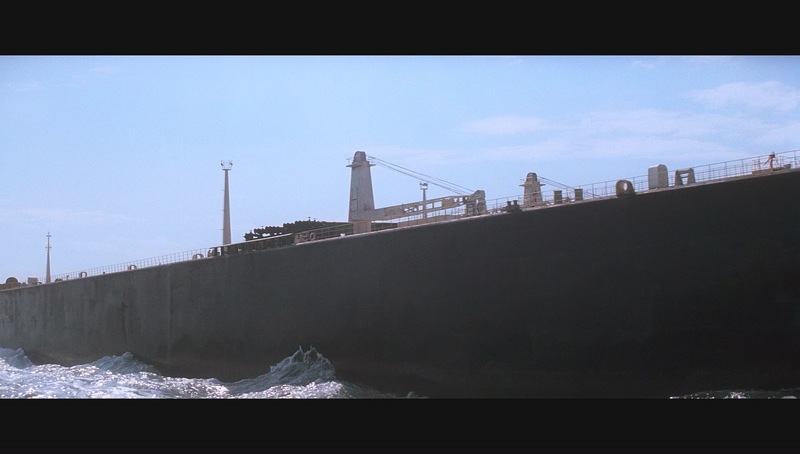 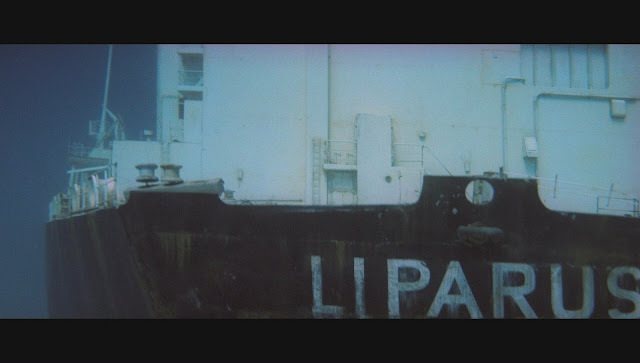 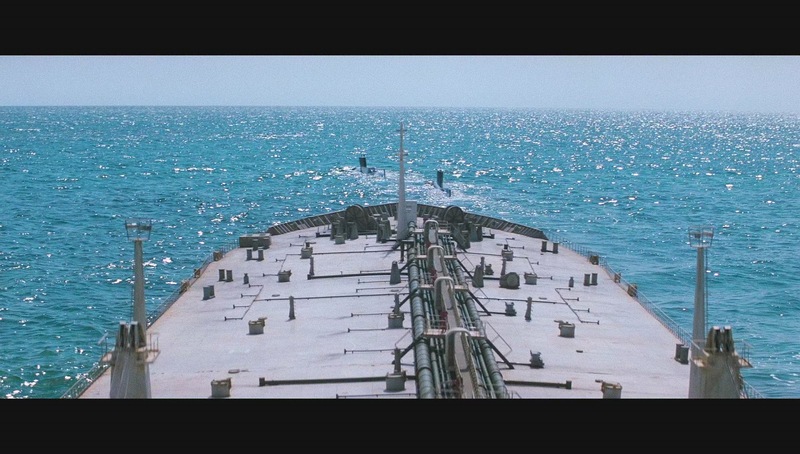 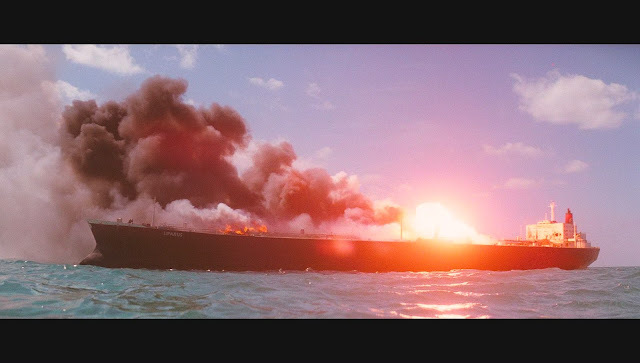 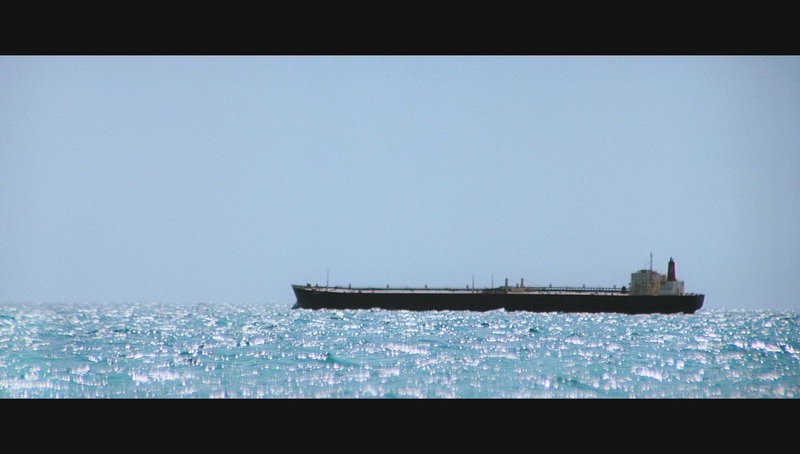 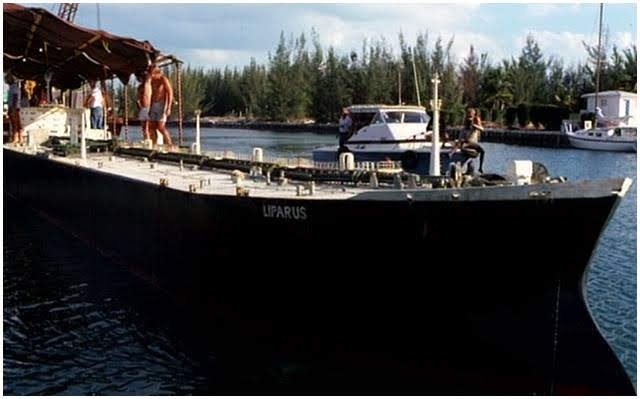 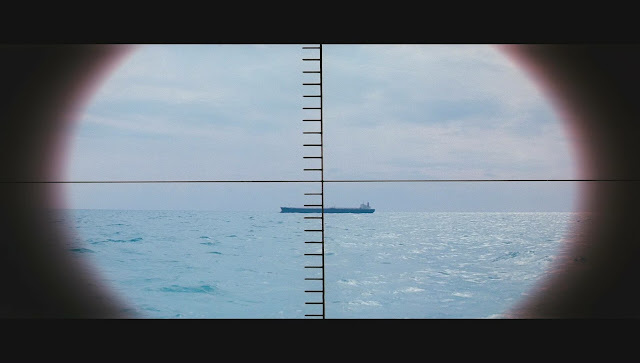 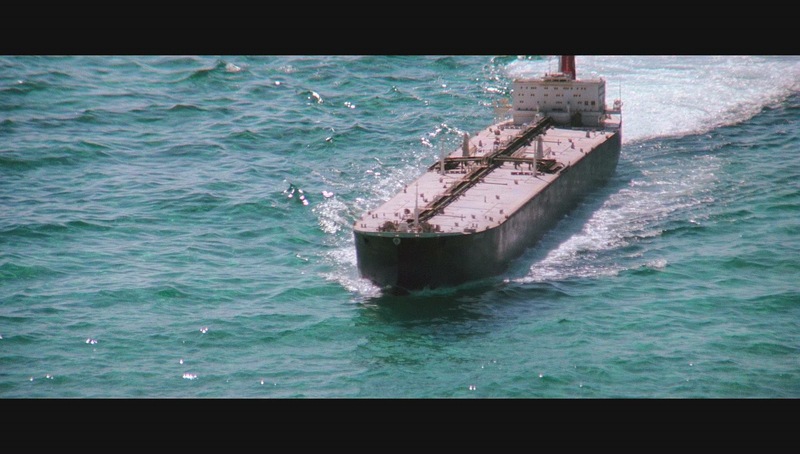 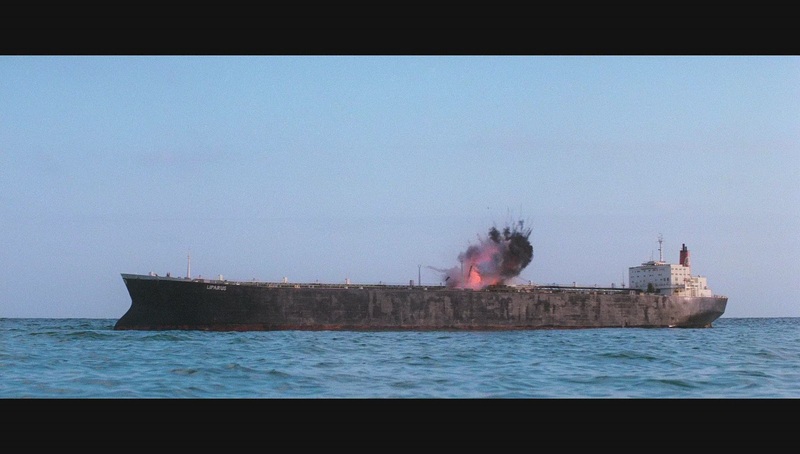 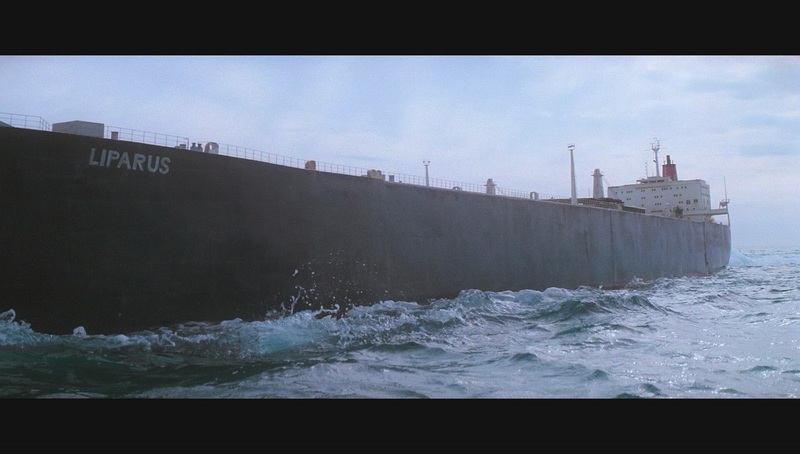 The subject is a supertanker belonging to the villain Stromberg named Liparus. 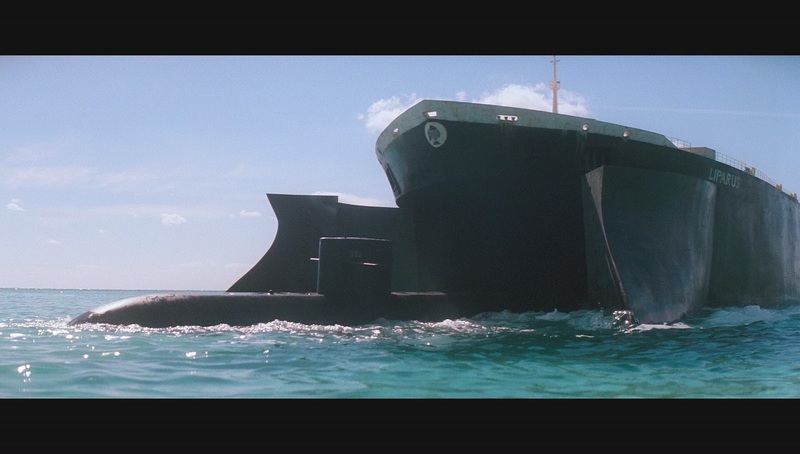 Three quarters of the length was designed internally as a catamaran as the bow opens up to swallow a couple of submarine miniatures. 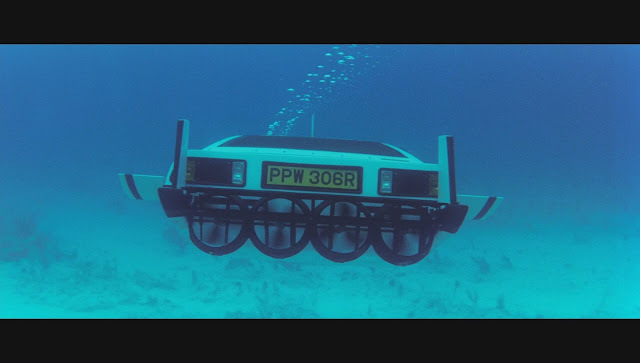 It had a Chevy 350 V8 inboard engine to power it and was controlled by an onboard special effects man. 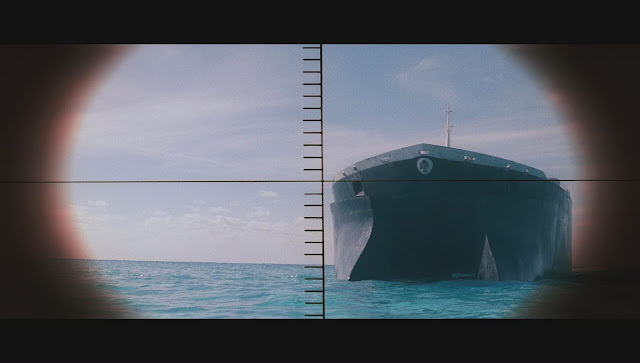 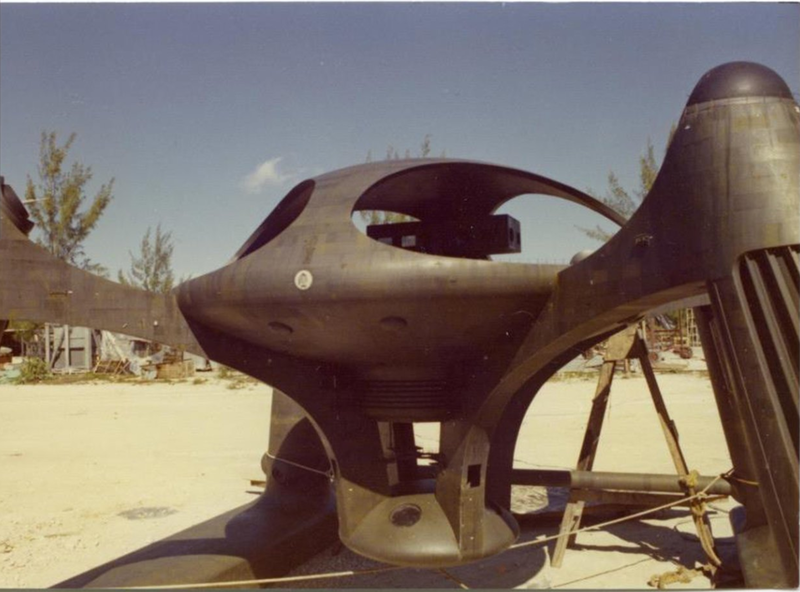 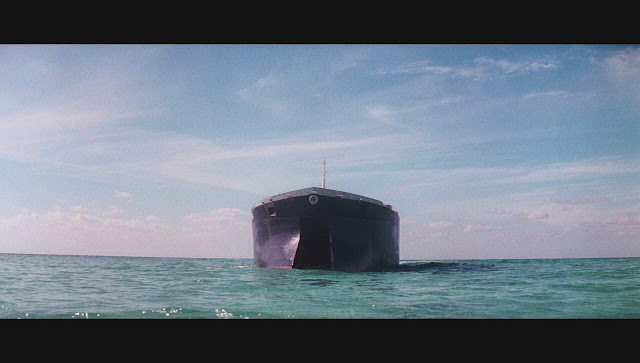 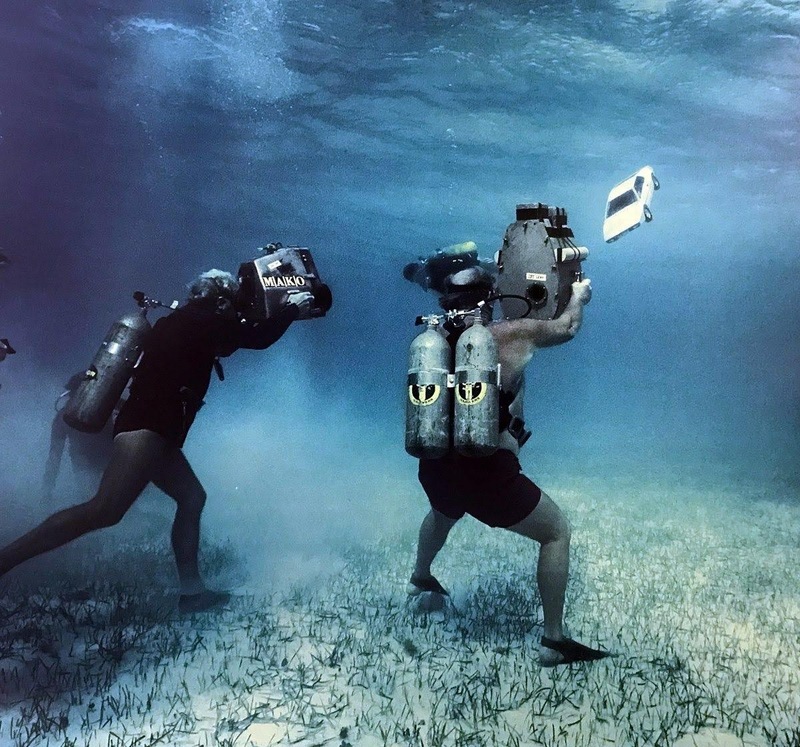 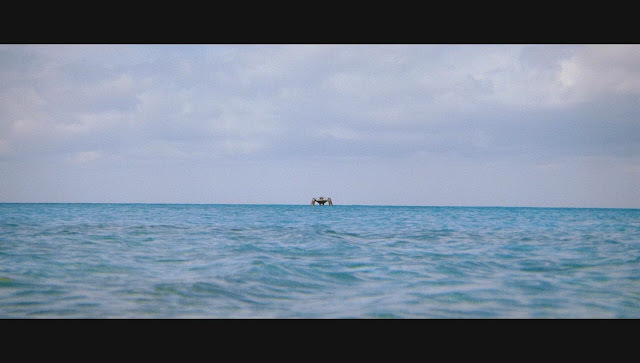 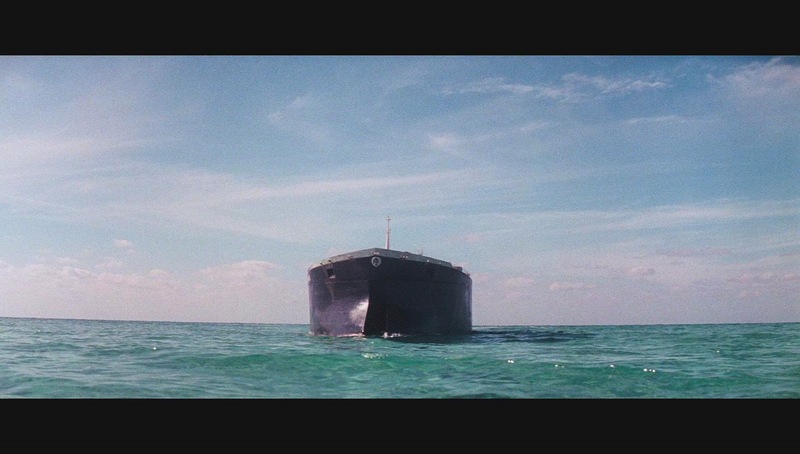 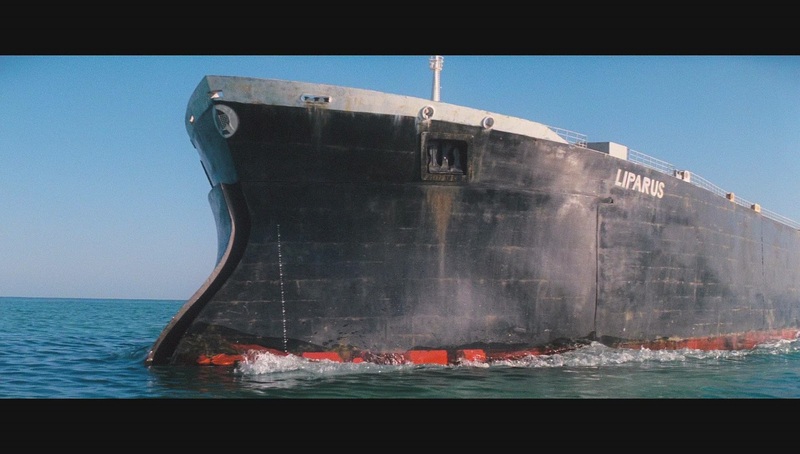 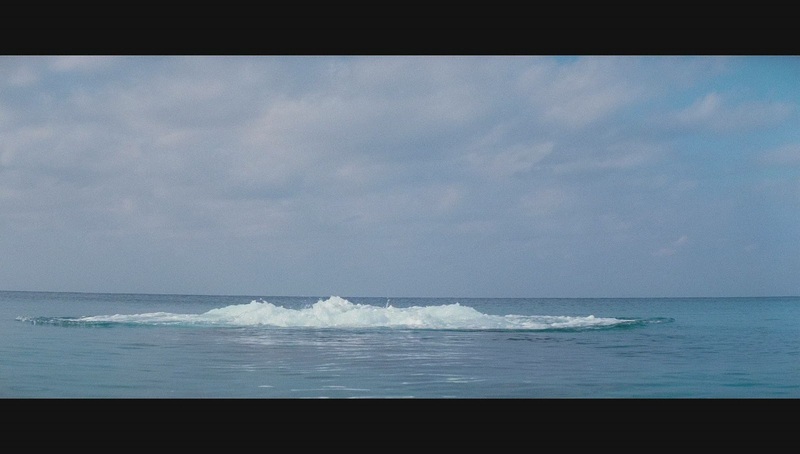 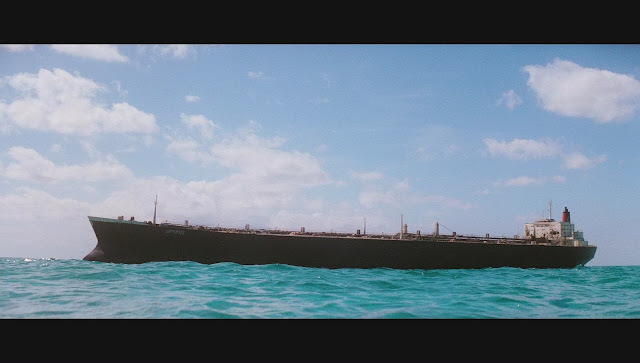 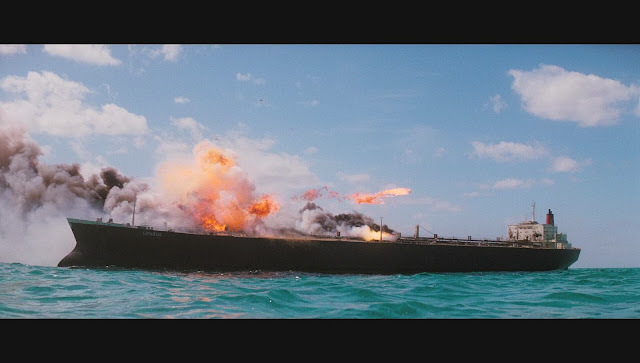 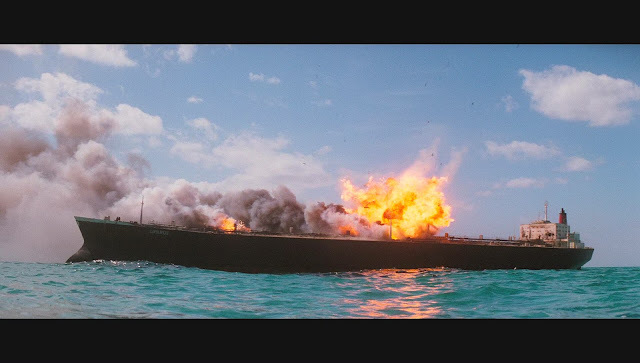 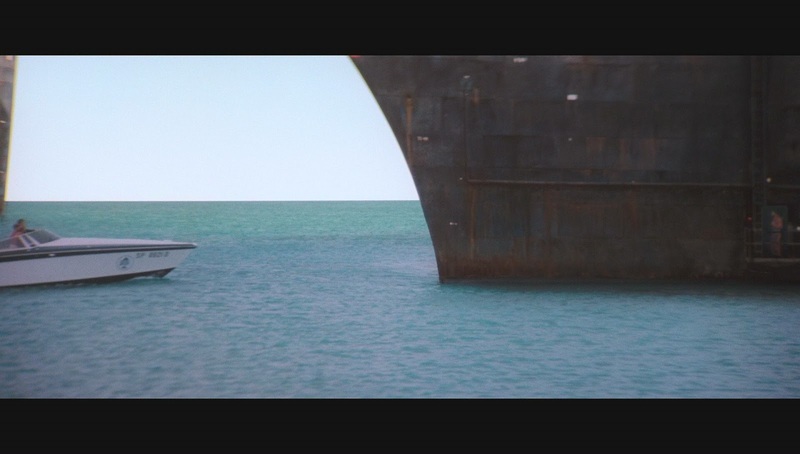 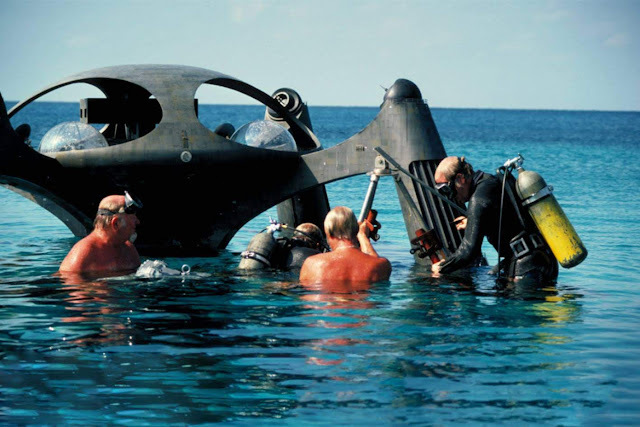 It was built in England, weighing about 20 tons and shipped out in sections and assembled in the Bahamas where it was shot on the real ocean . 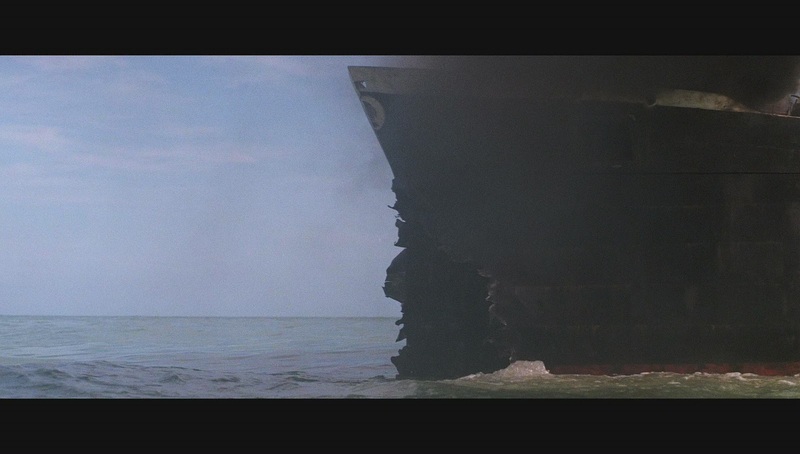 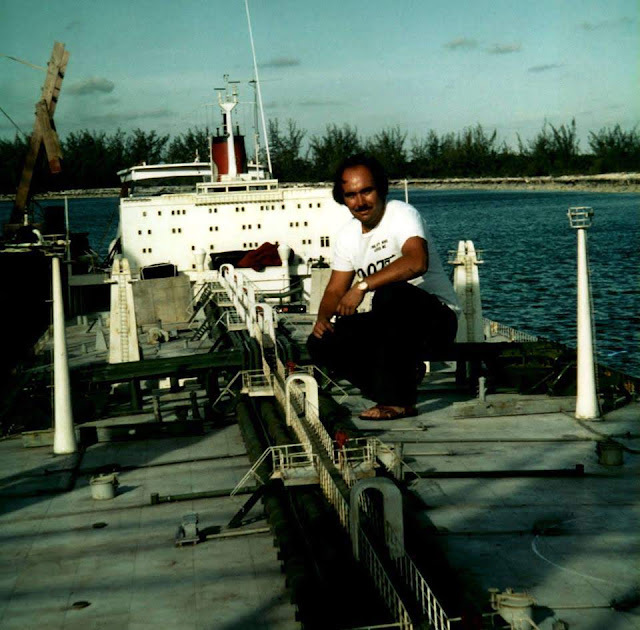 At first it was found to ride too high so to get it to float at the correct waterline it was ballasted with cement. 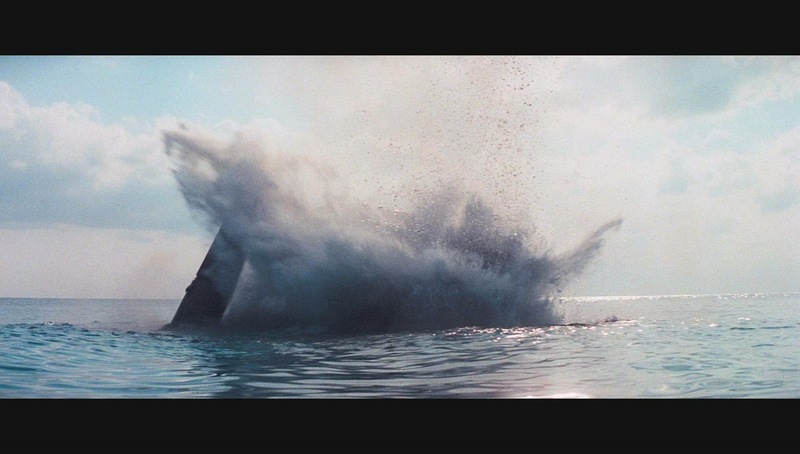 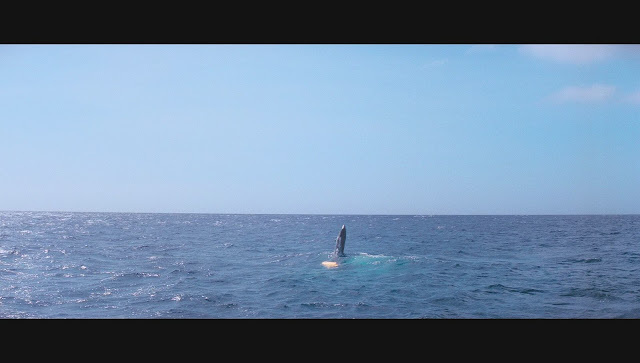 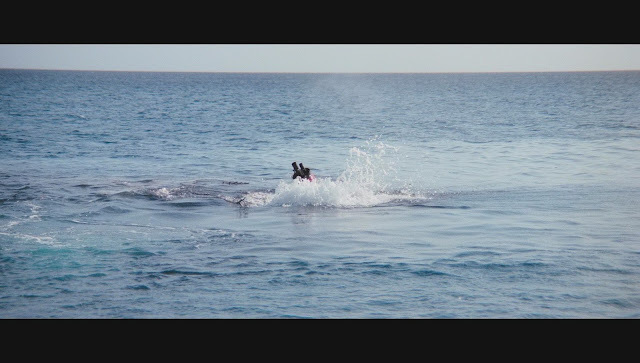 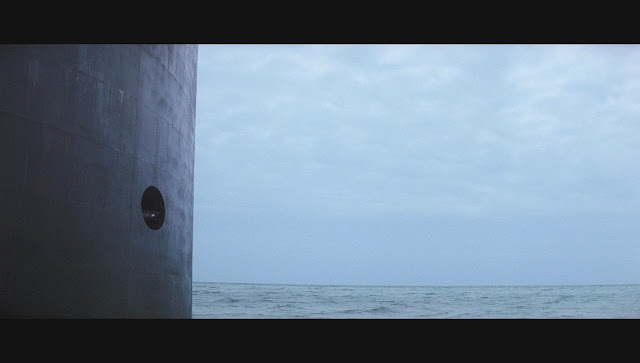 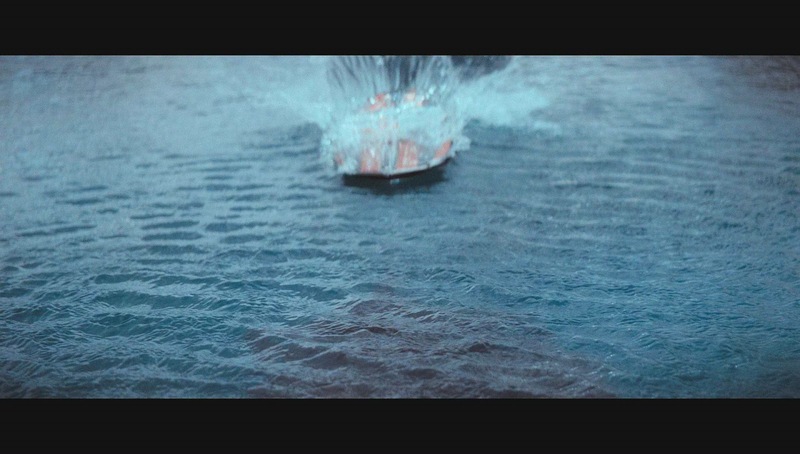 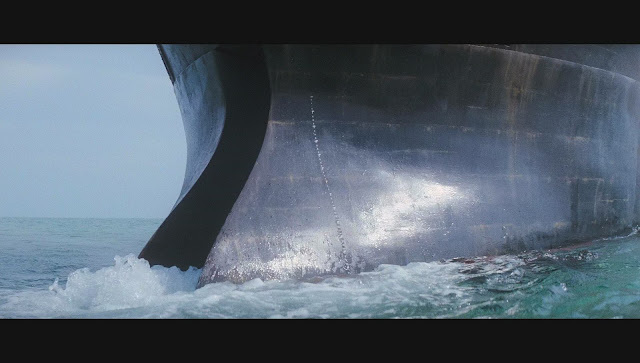 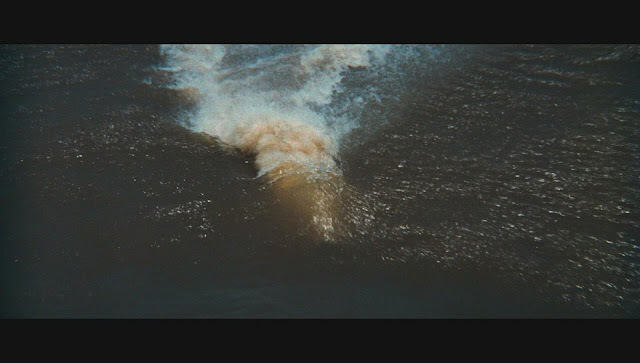 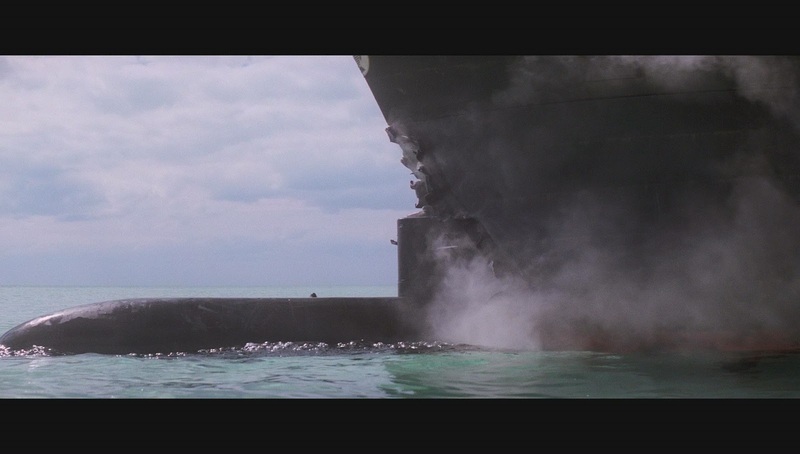 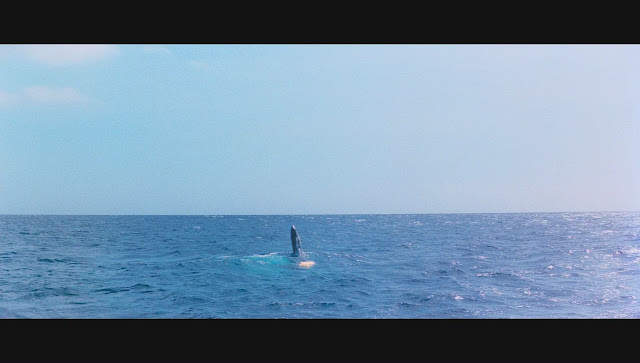 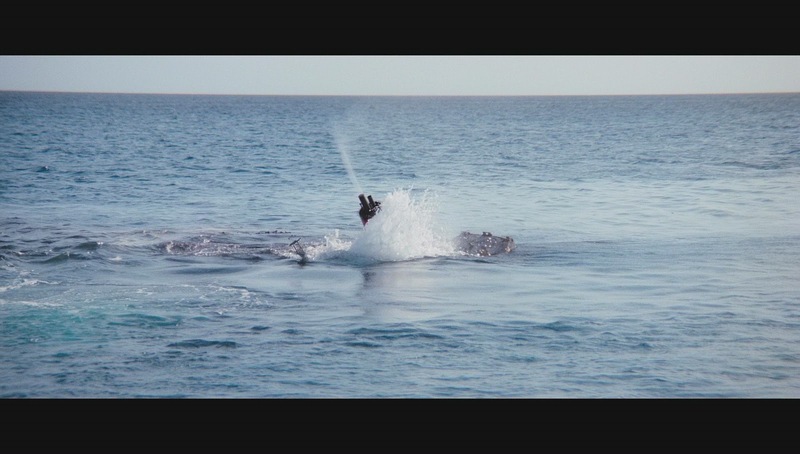 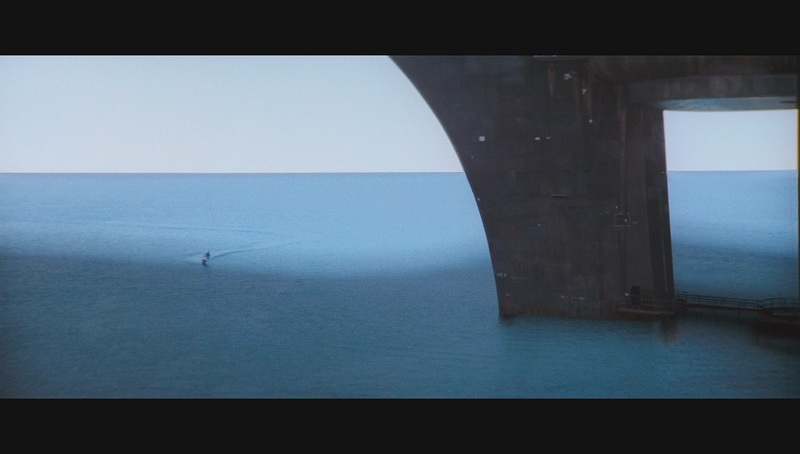 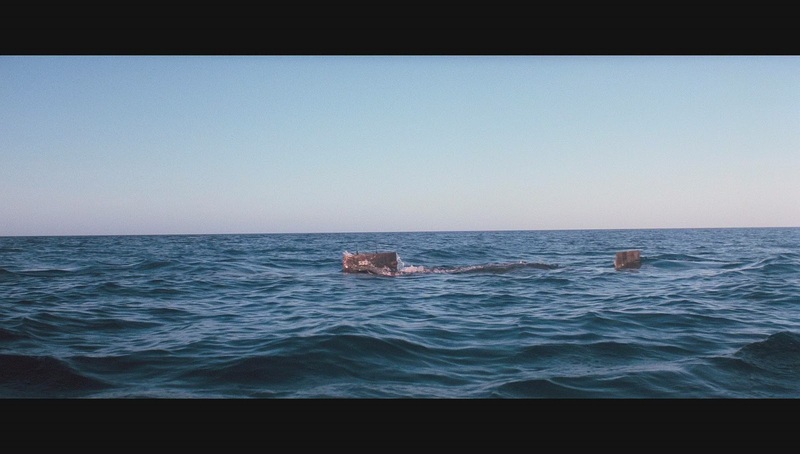 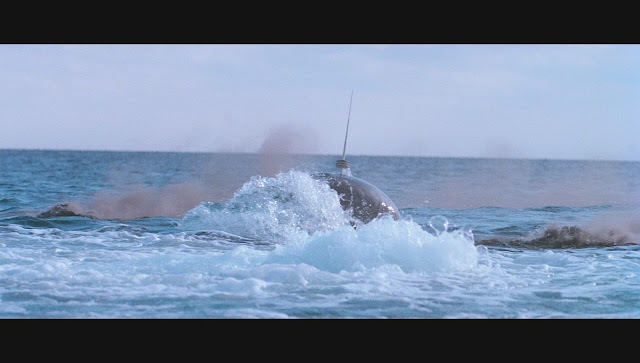 In the long shots it is indistinguishable from the real thing producing a realistic wake and bow wave. It goes to prove that it is hard to beat a really big model shot outside in natural light on a real ocean for verisimilitude. For the sinking scene the model was mounted to an underwater rig that allowed for tilting the bow down while raising the stern up with a pivot at about 2/3rds of its length from the bow. 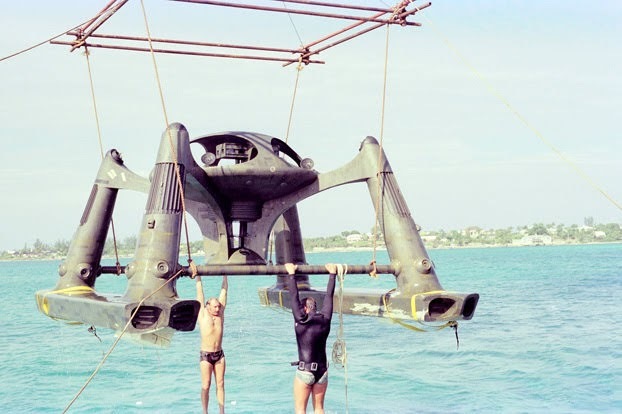 Once it was at the maximum angle, the model then slid down on a carriage towards the sea floor. 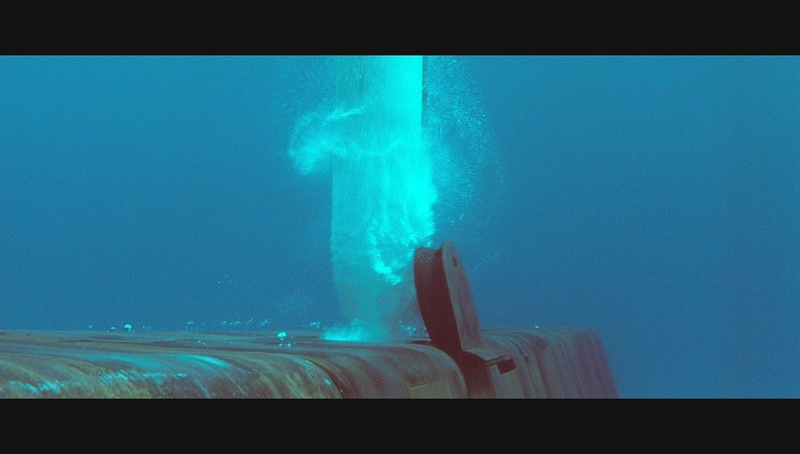 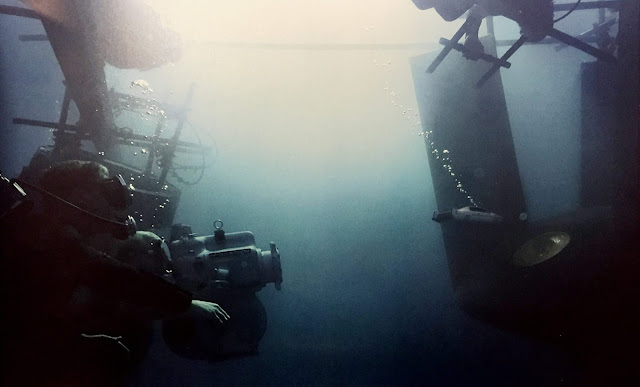 Under the rig was a number of compressed air lines providing all the turbulent bubbling and foam effects on the surface of the water. 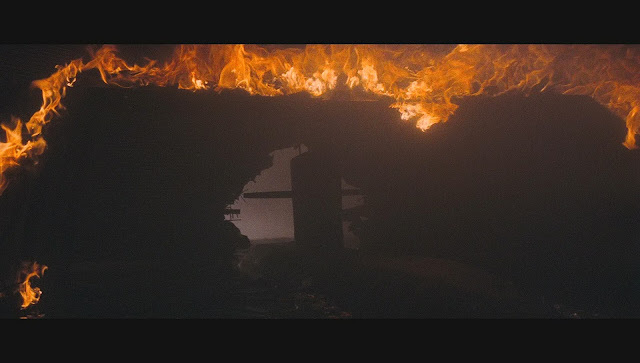 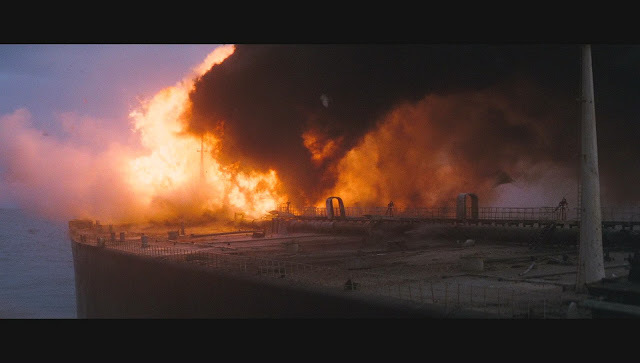 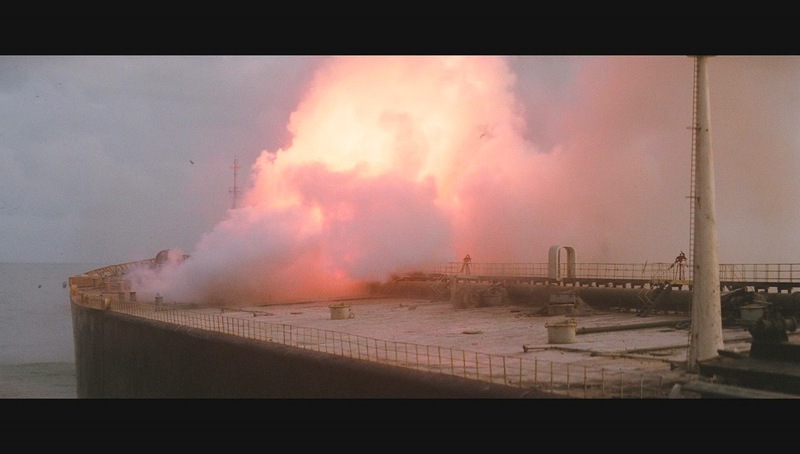 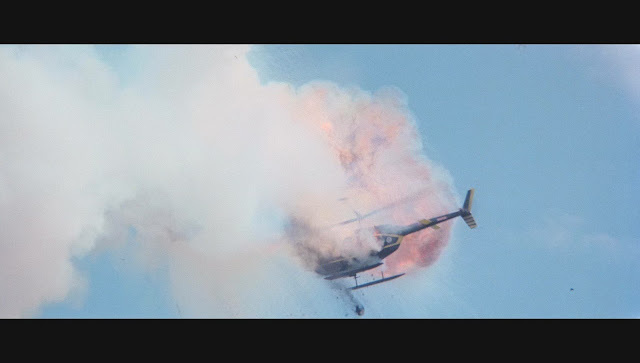 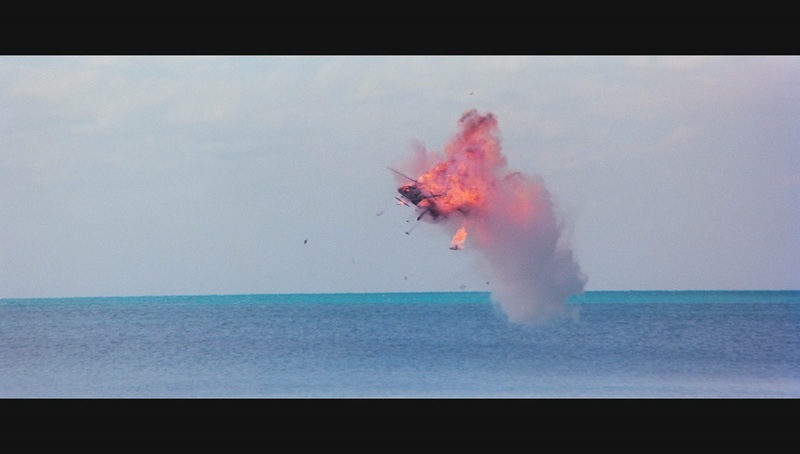 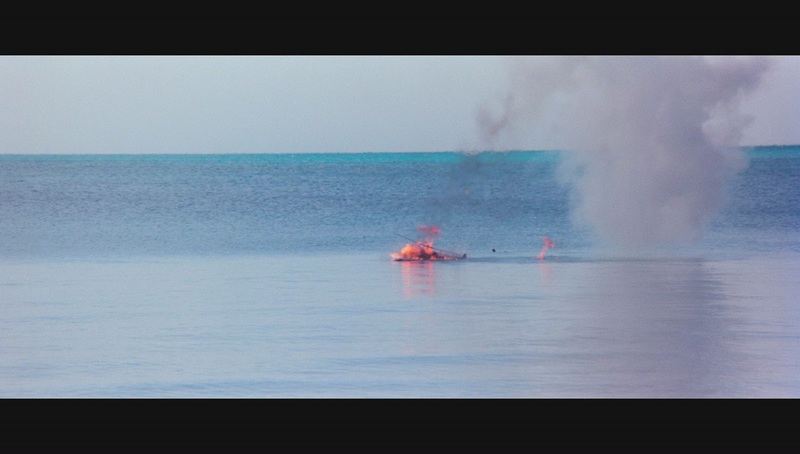 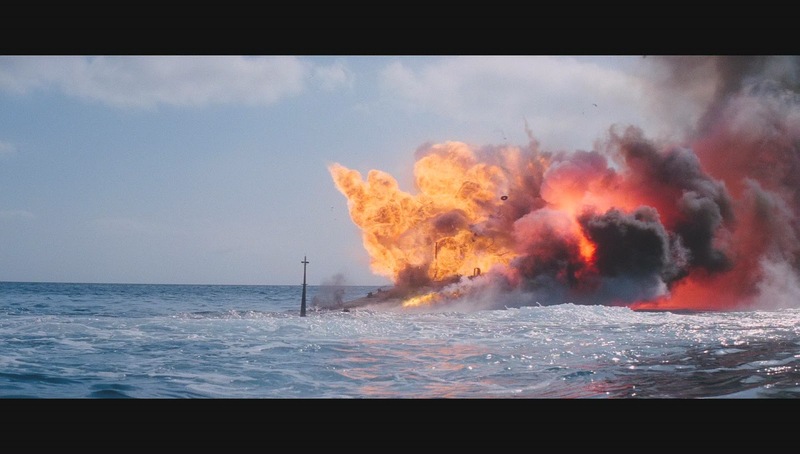 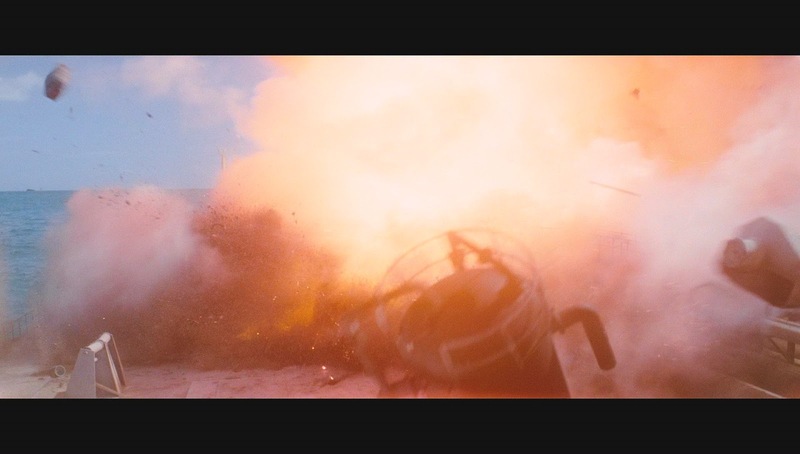 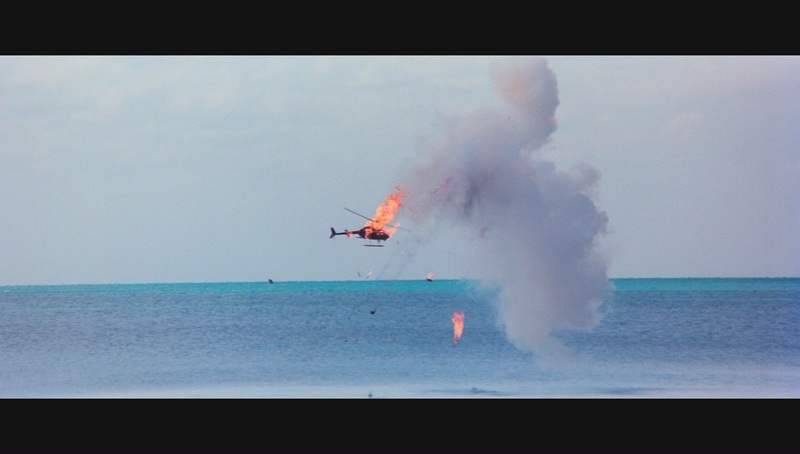 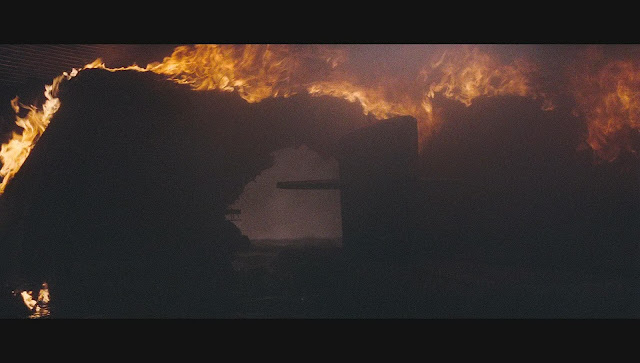 As is typical it was subjected to many pyrotechnic charges to effect its demise in the film. 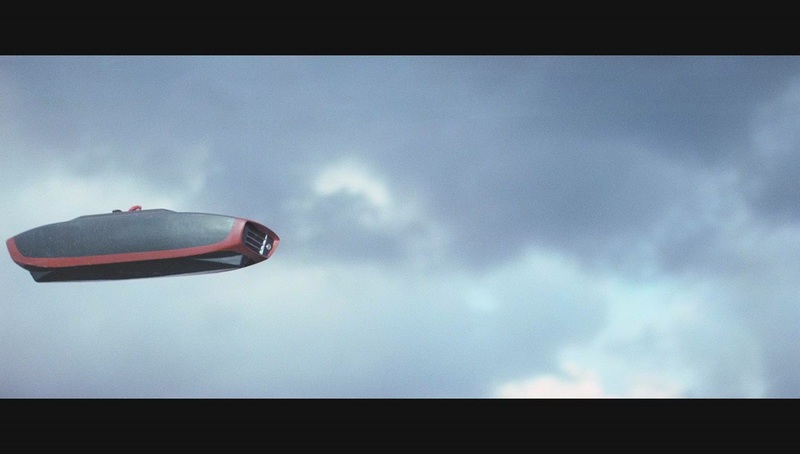 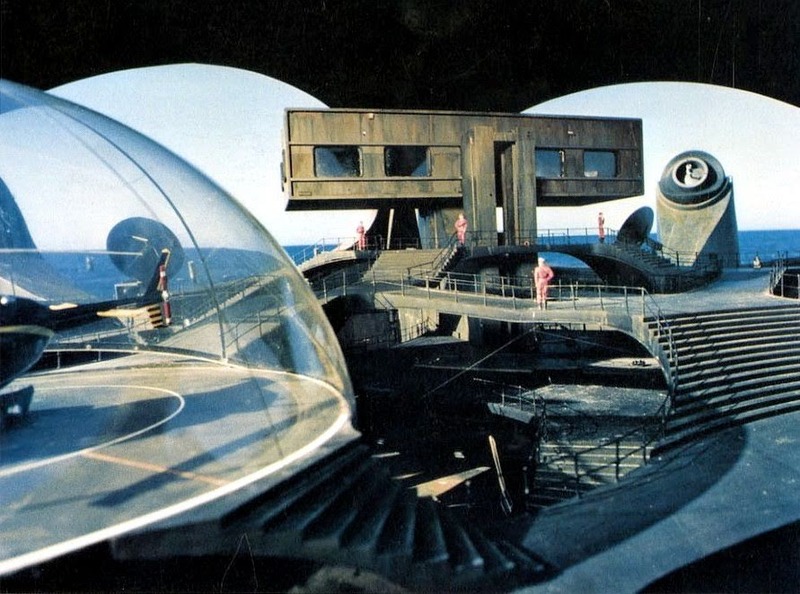 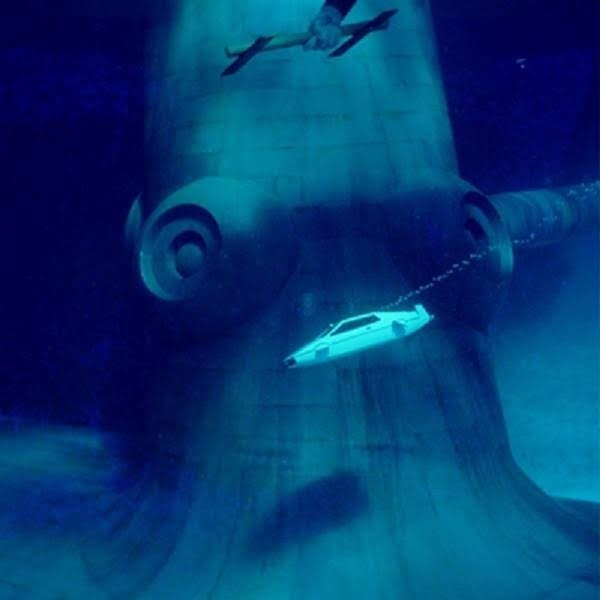 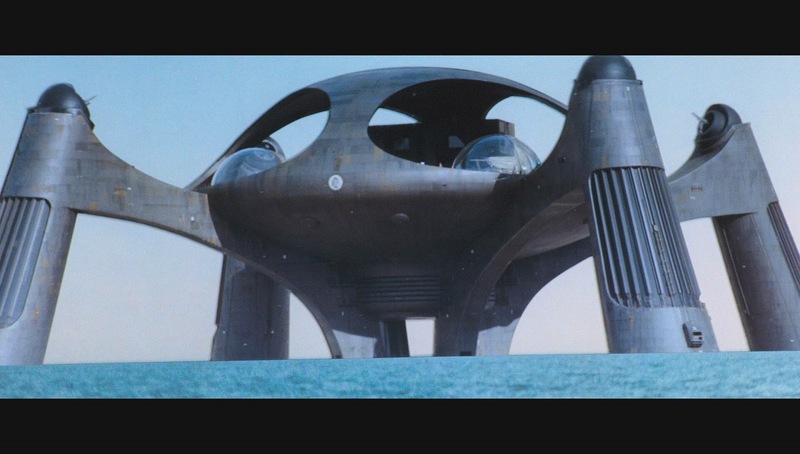 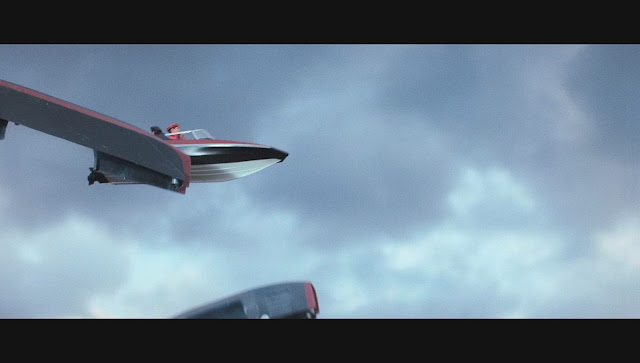 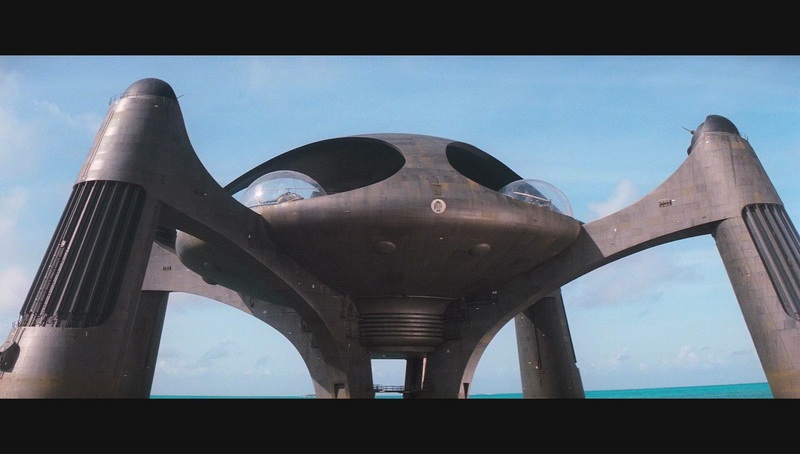 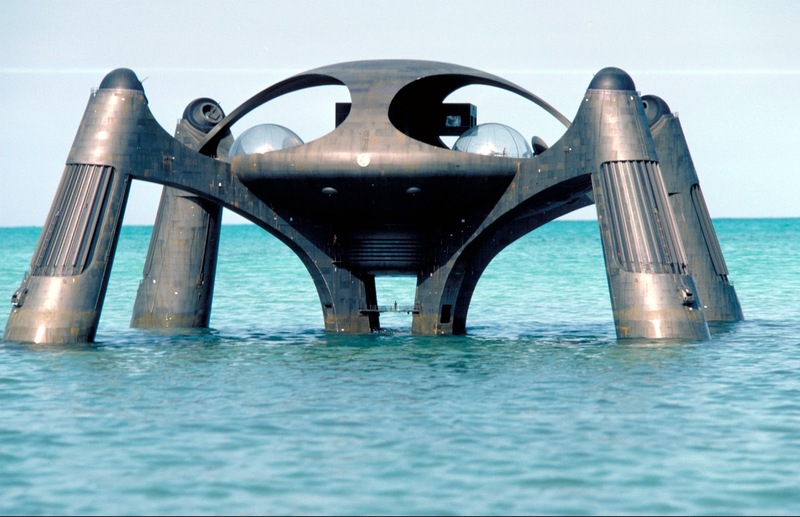 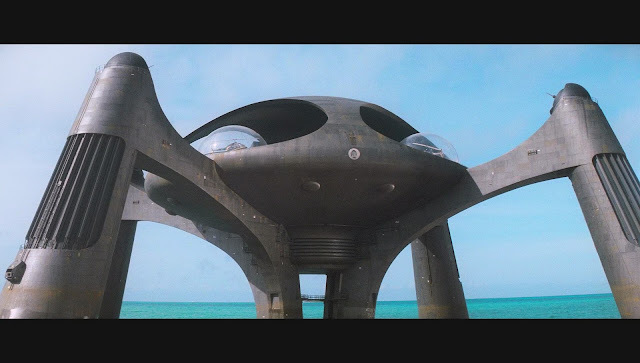 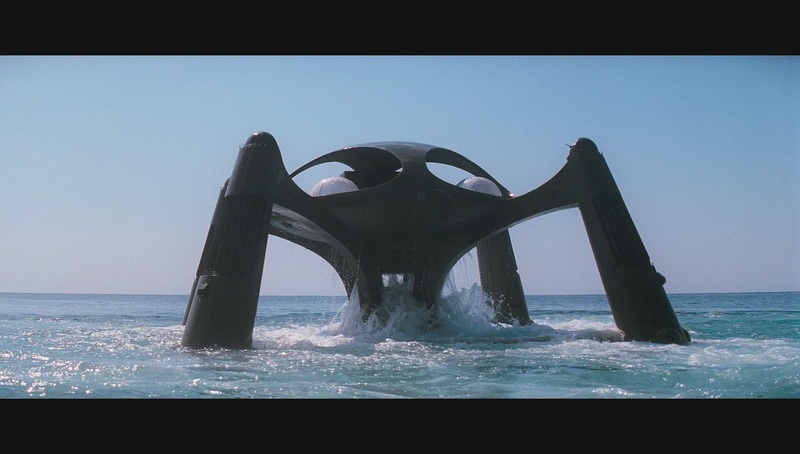 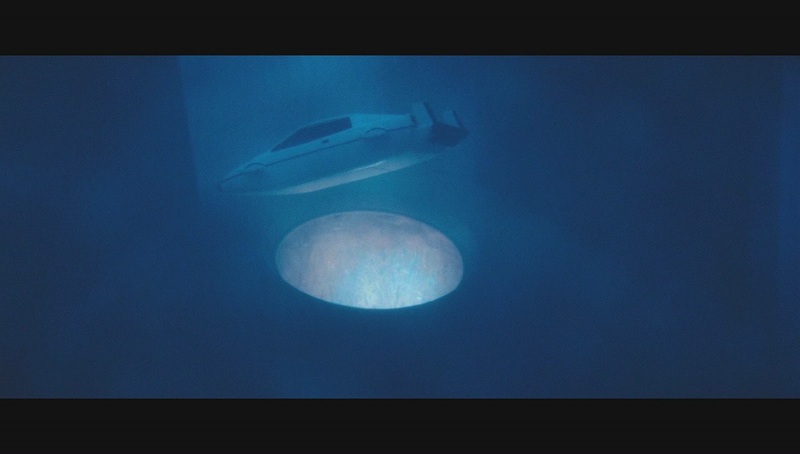 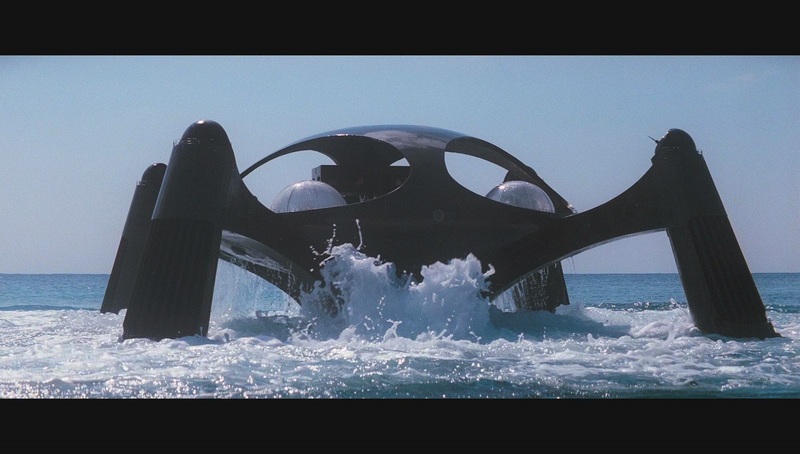 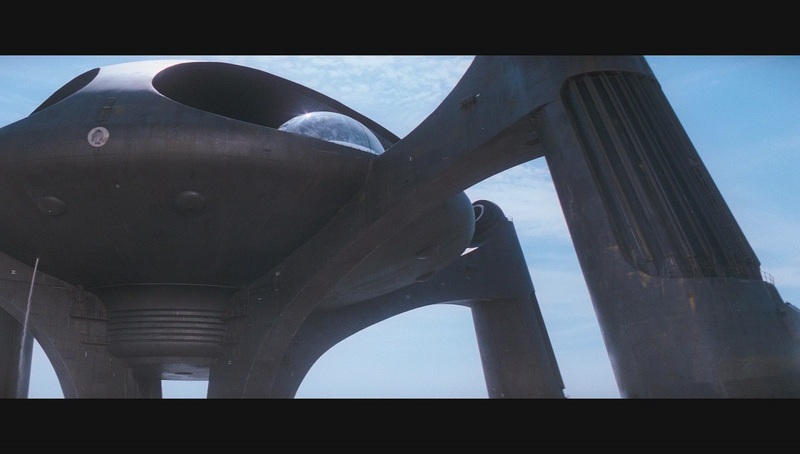 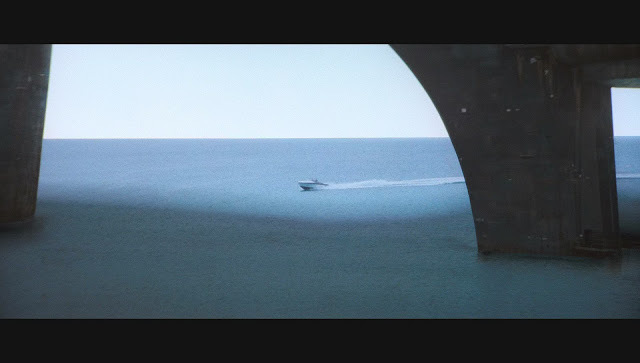 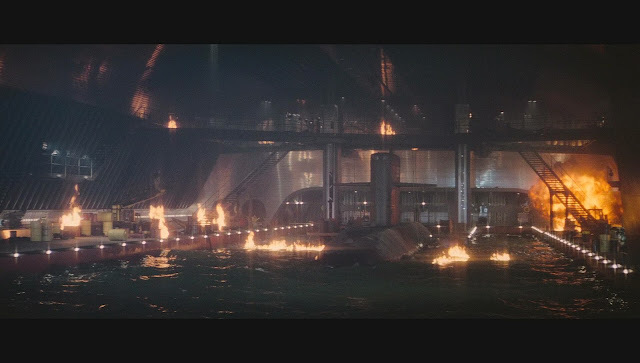 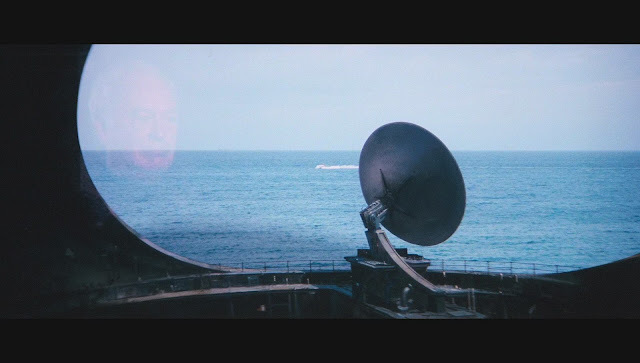 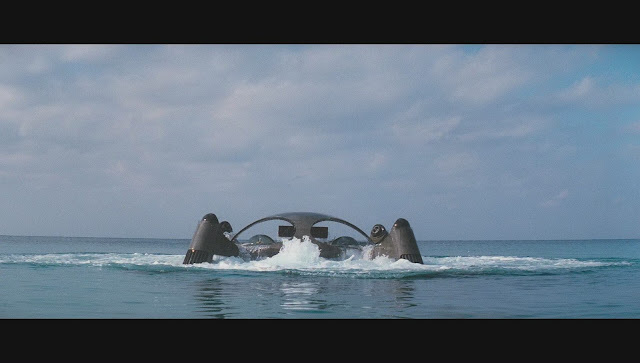 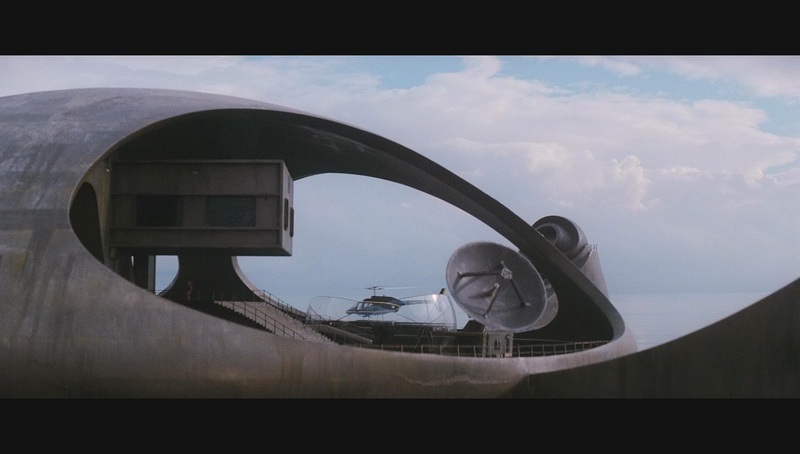 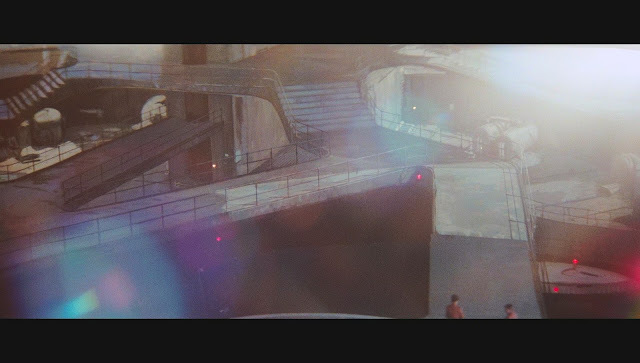 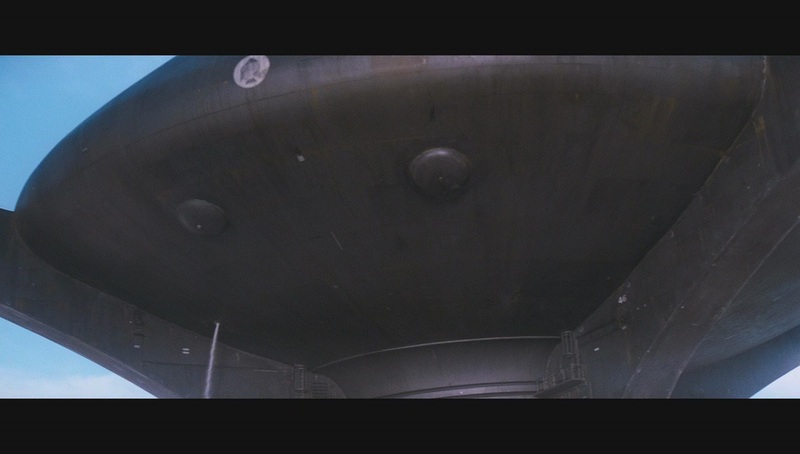 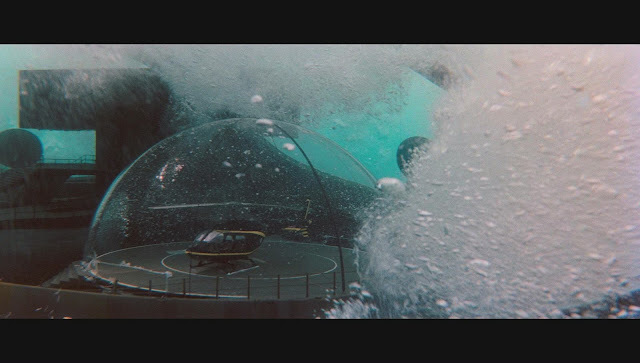 Stromberg's headquarters were depicted by another large ocean going model, the elegant Ken Adam designed Atlantis which could both float on the surface and submerge. It was approximately 8 feet (2.4m) high. 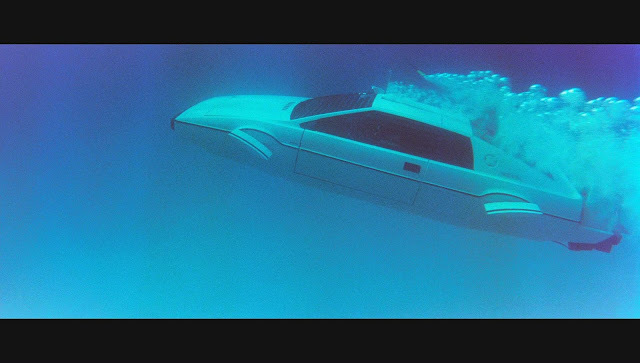 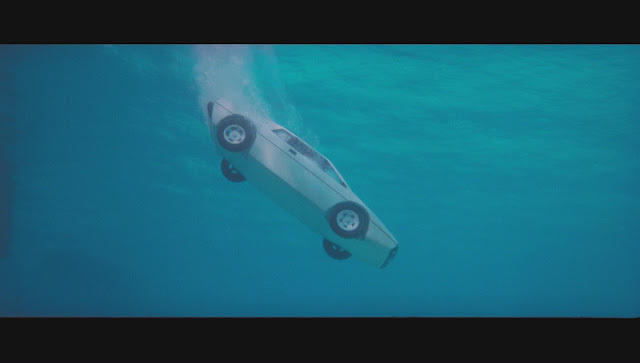 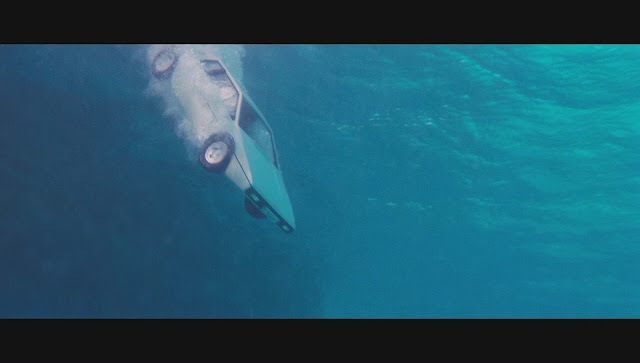 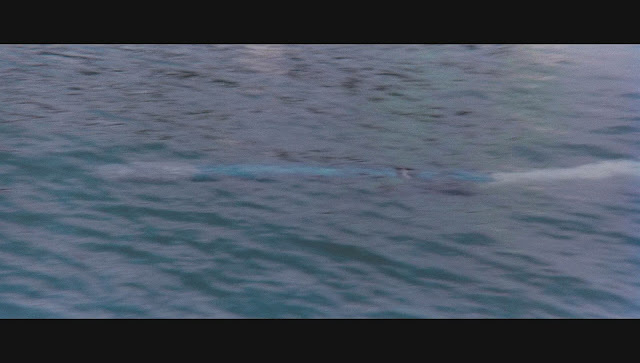 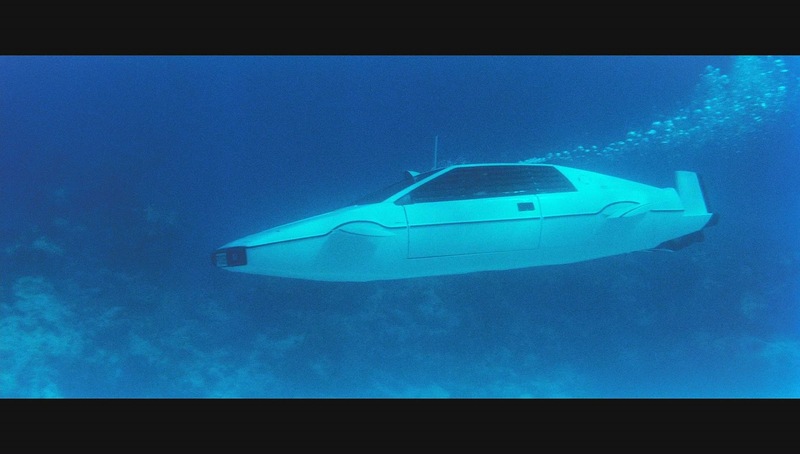 The Lotus Esprit submersible car also appeared as a 1/4 scale model in a number of underwater long shots. 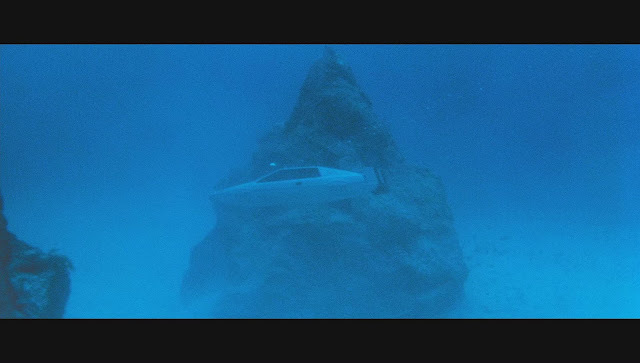 There was an larger scale Atlantis leg section that was filmed along the miniature car. 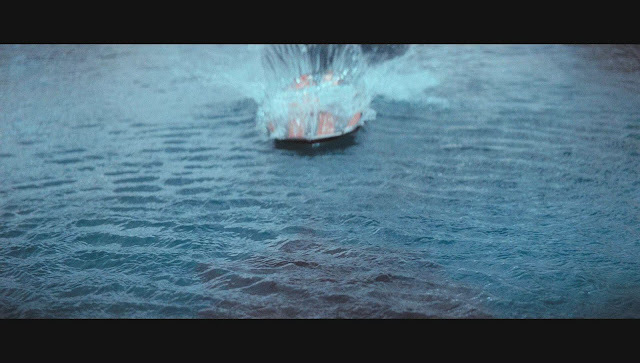 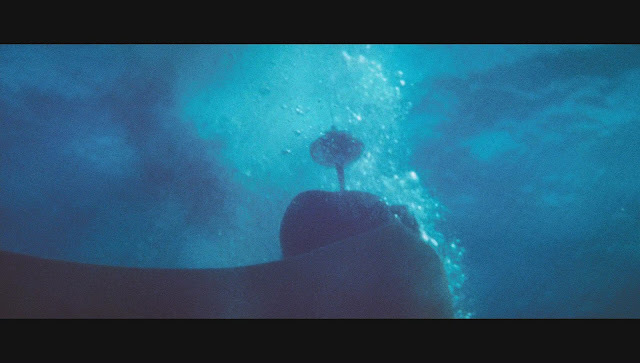 In a few of the still shots you can see the simple stick control handle used to manipulate the wire hung model Lotus by hand underwater. This control system is identical to the system used for flying models in the TV puppet series Thunderbirds. 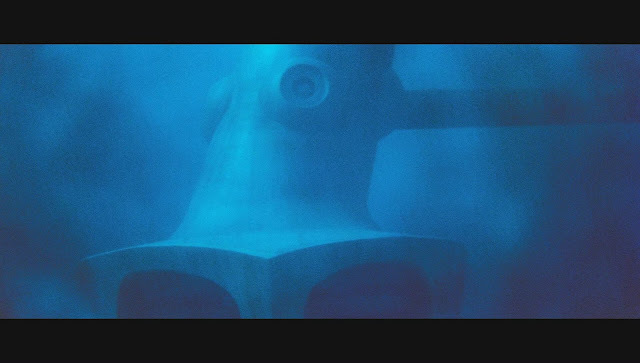 Larger scale Atlantis leg section used for the model Lotus shots. Another large scale model was built of the interior of the Liparus where the captured submarines are penned. 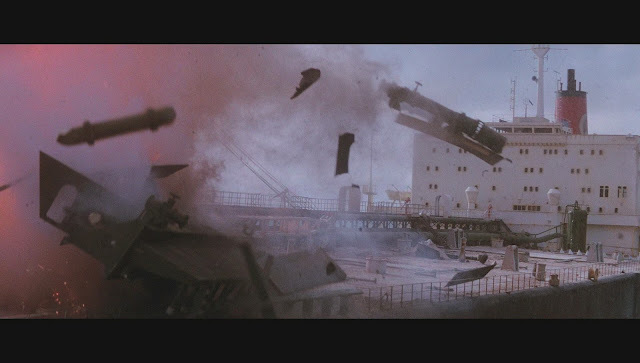 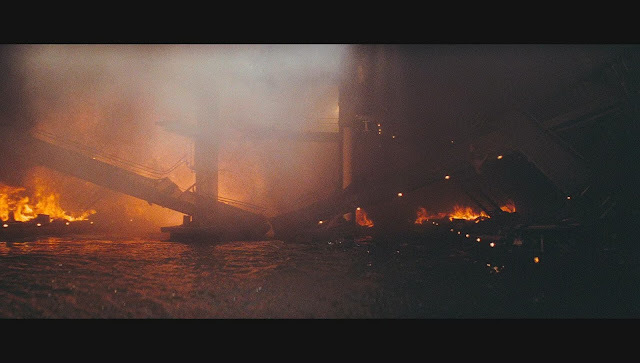 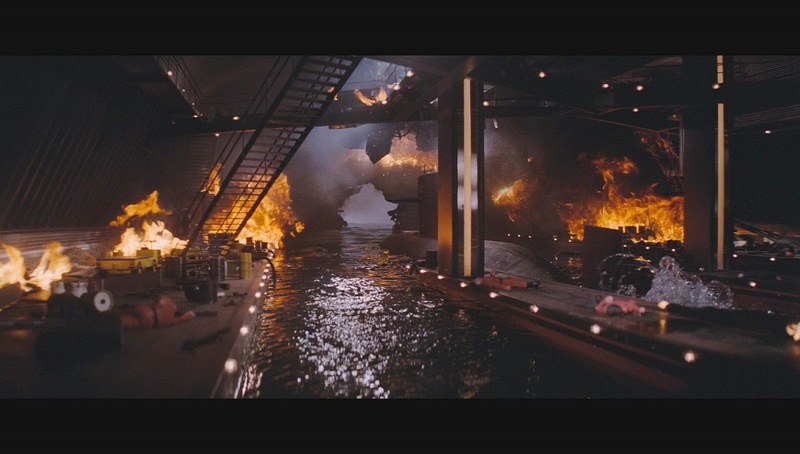 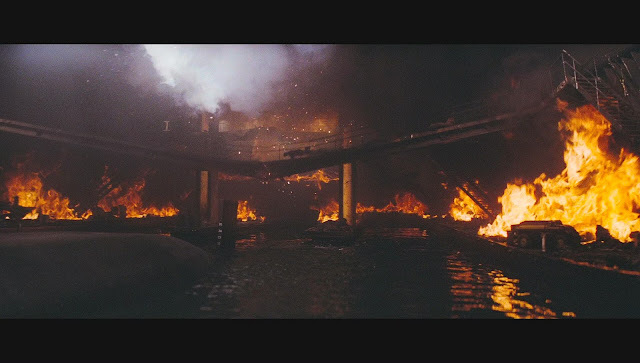 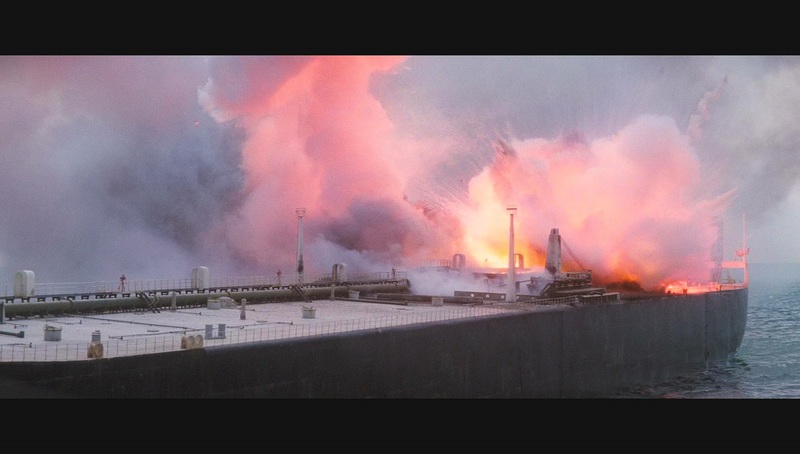 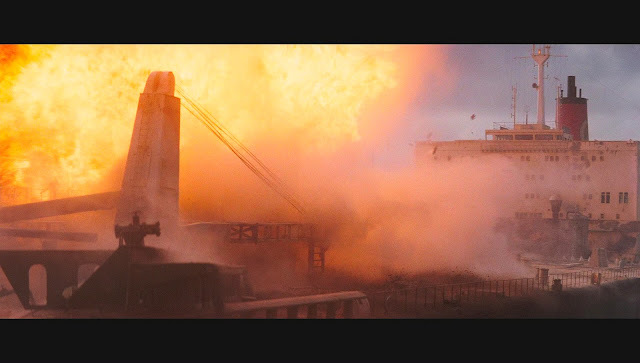 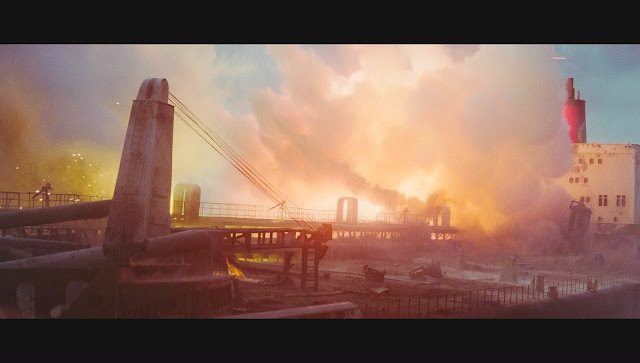 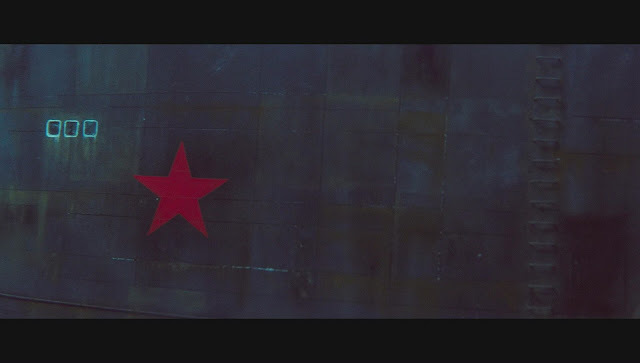 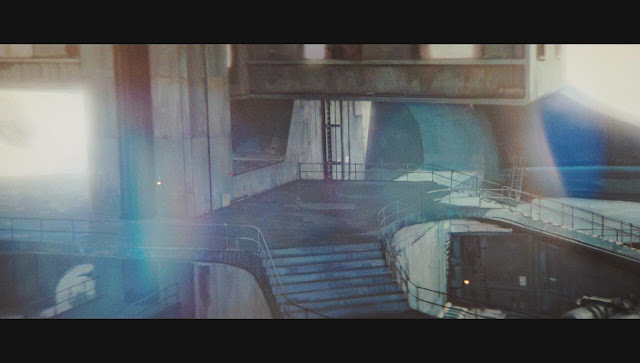 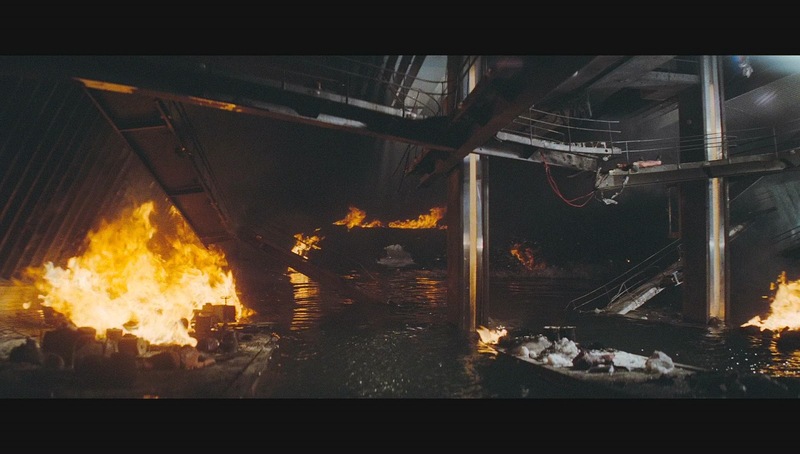 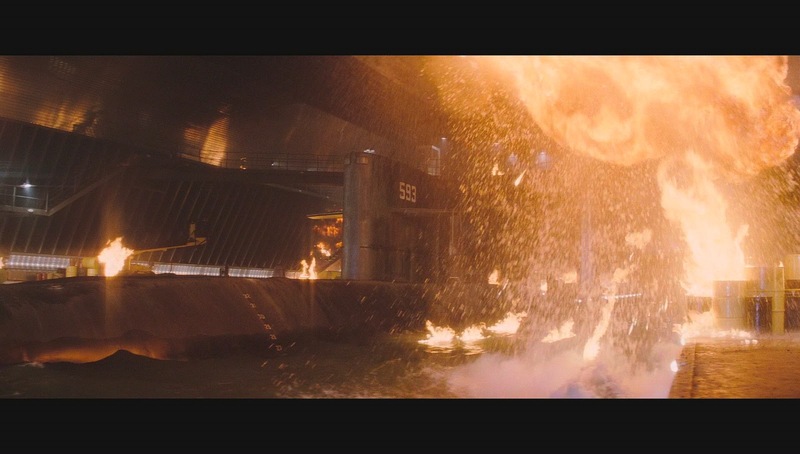 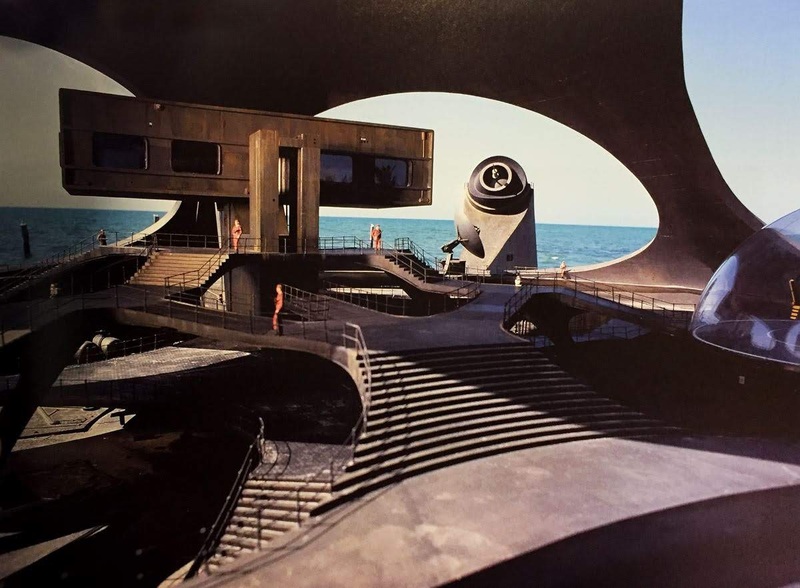 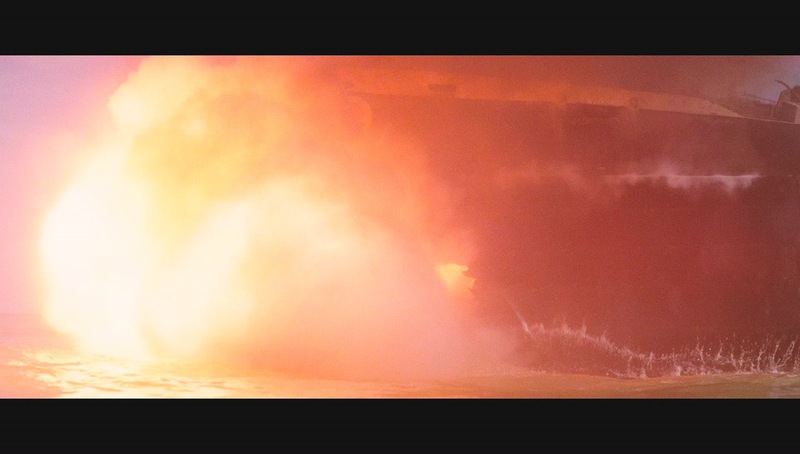 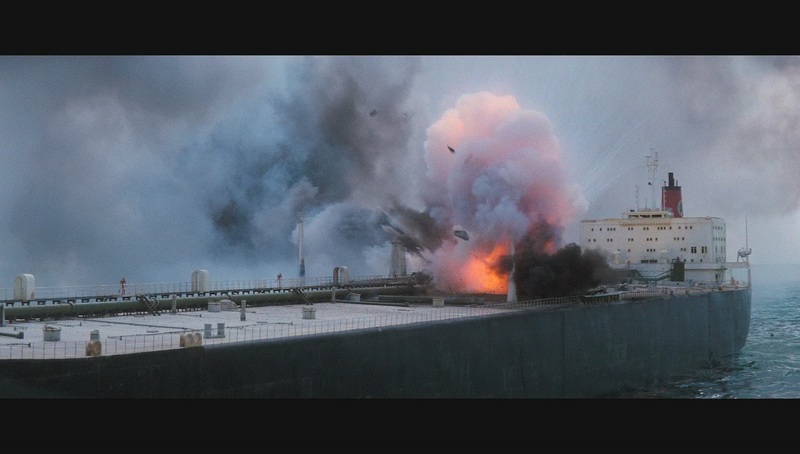 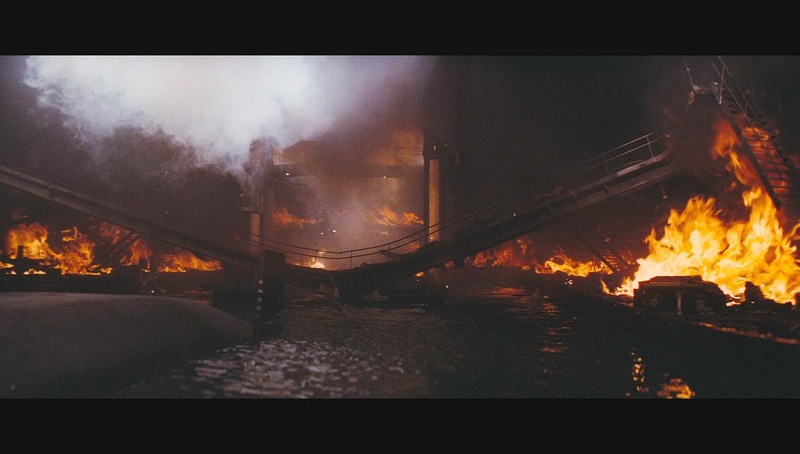 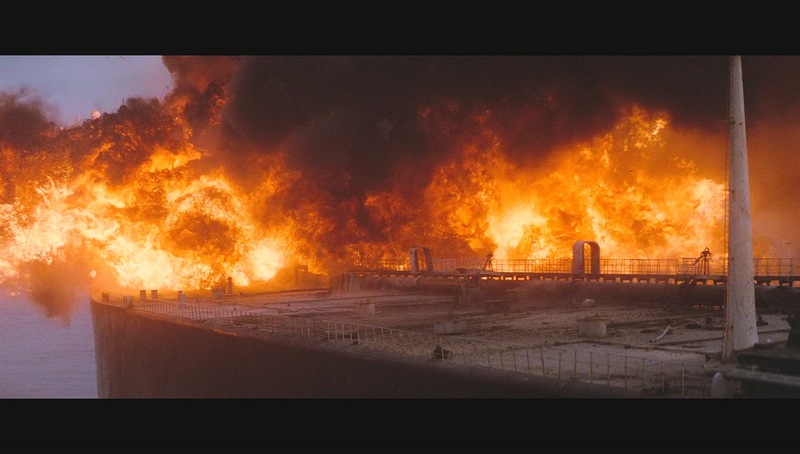 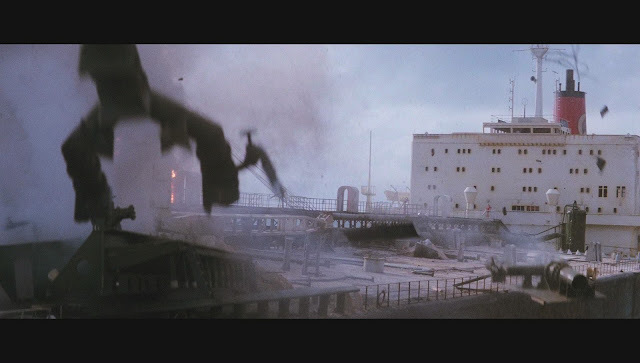 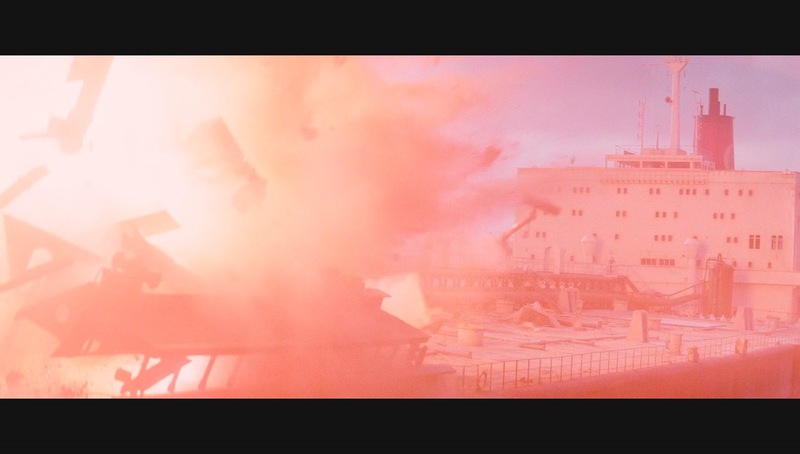 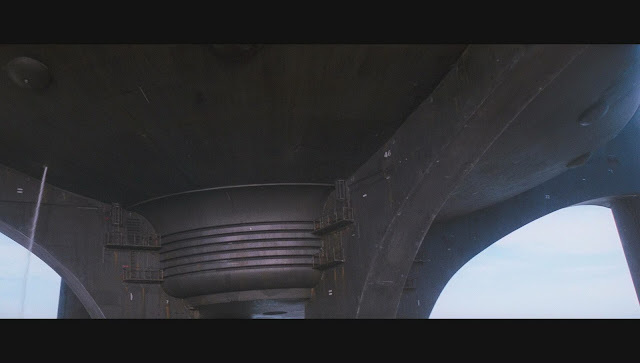 It was used in shots where there are massive explosions and fireballs going off and a catwalk collapses. 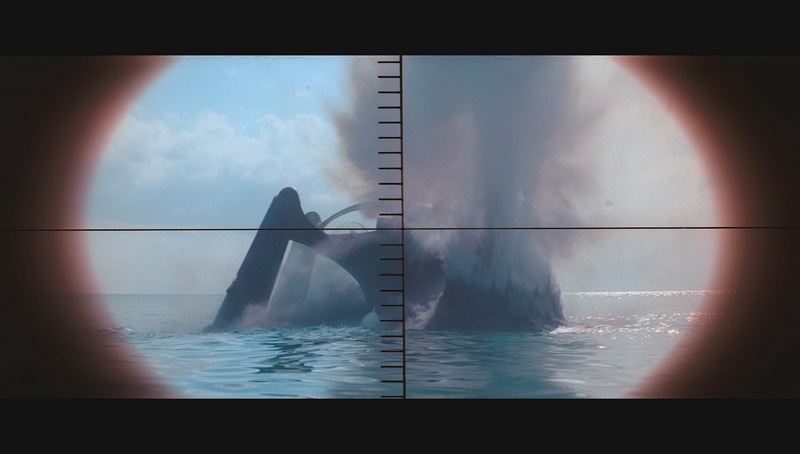 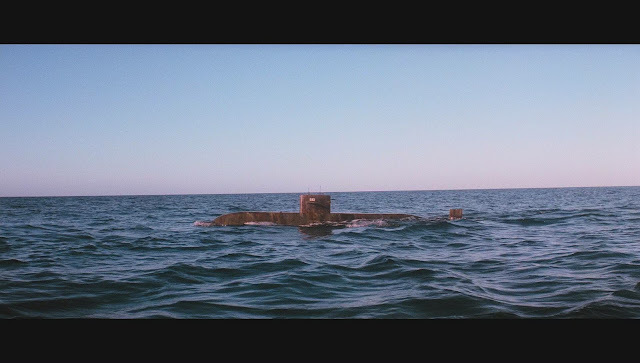 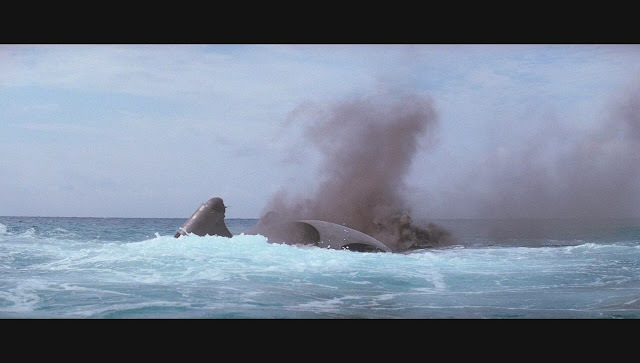 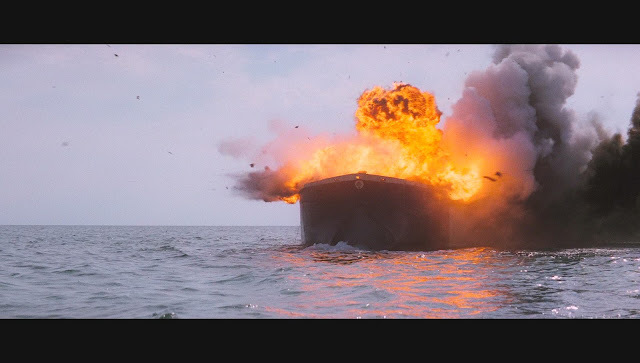 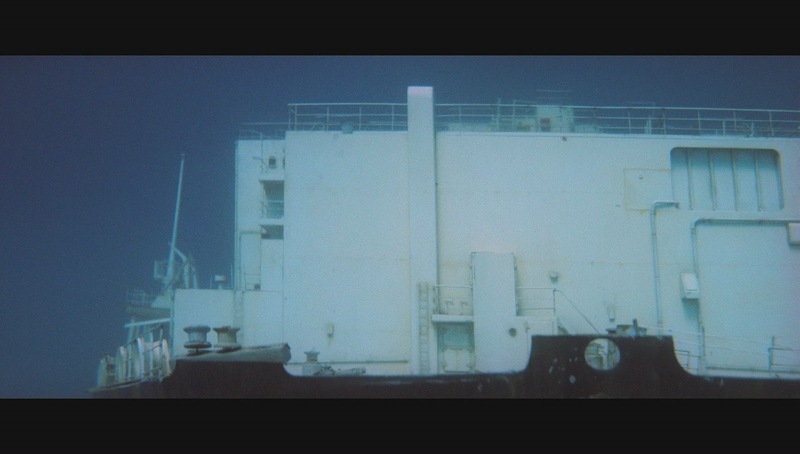 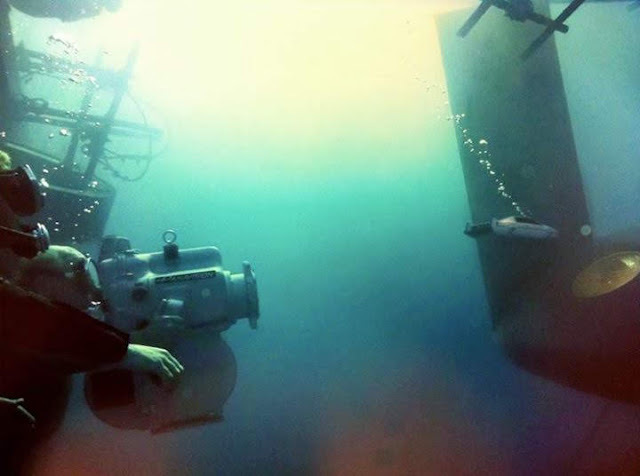 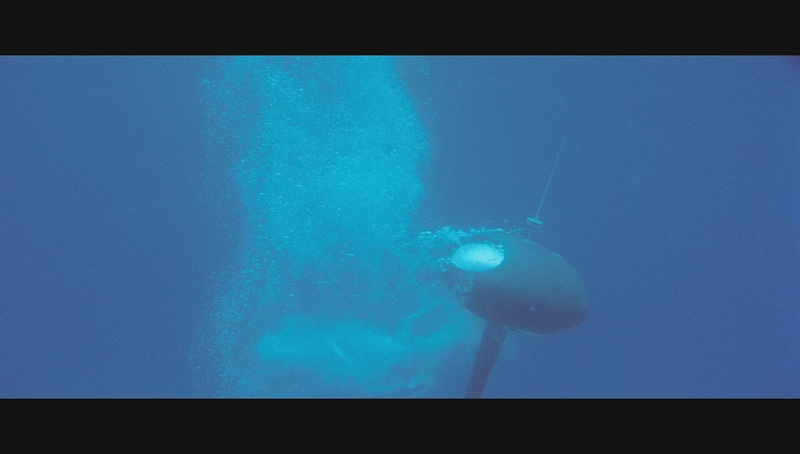 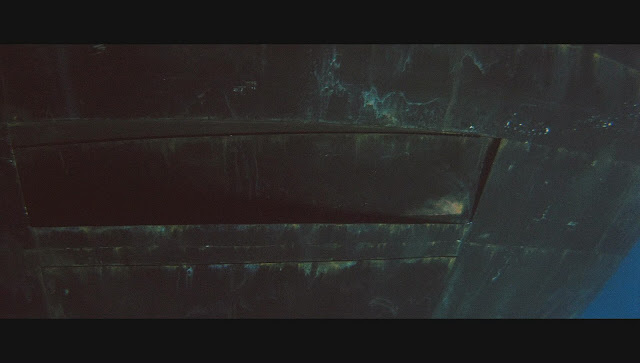 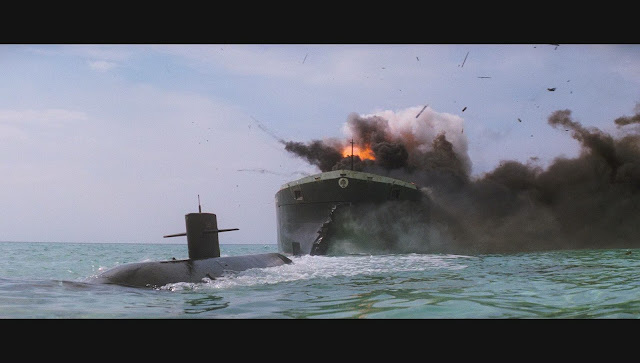 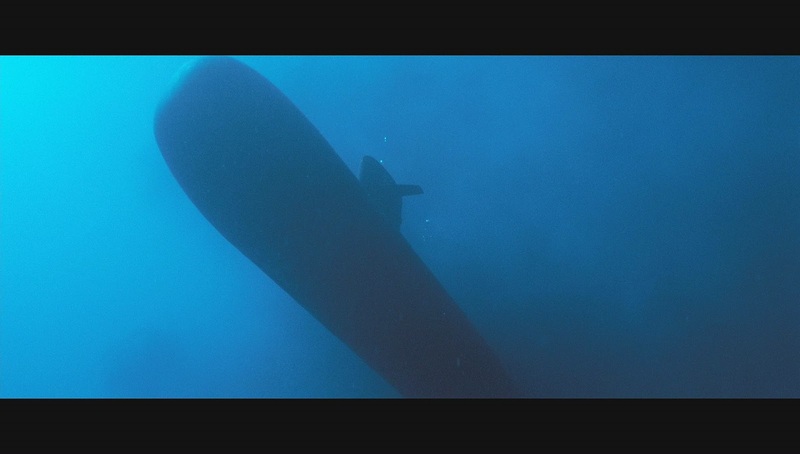 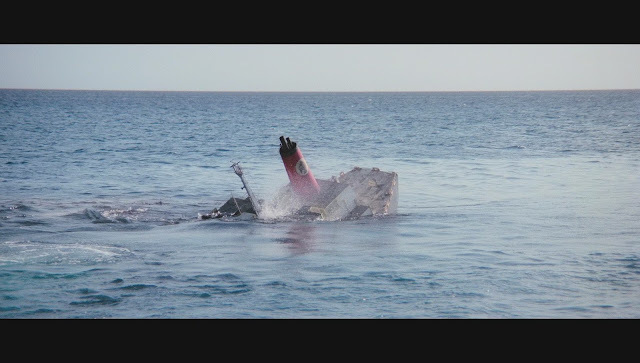 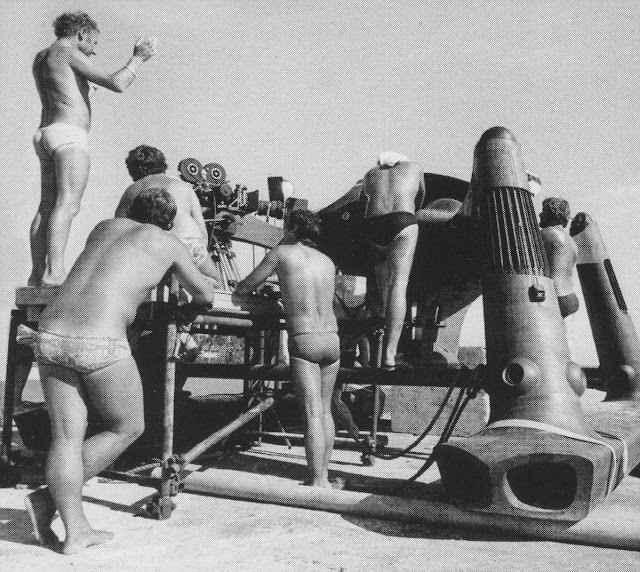 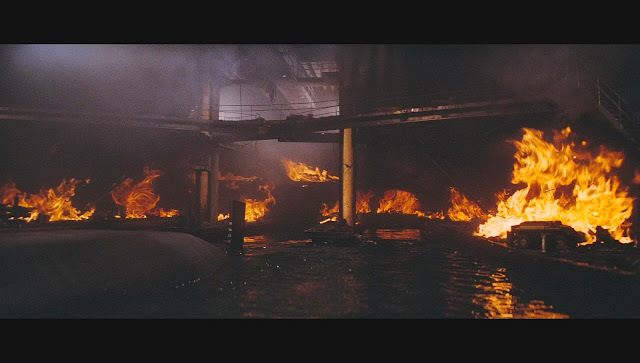 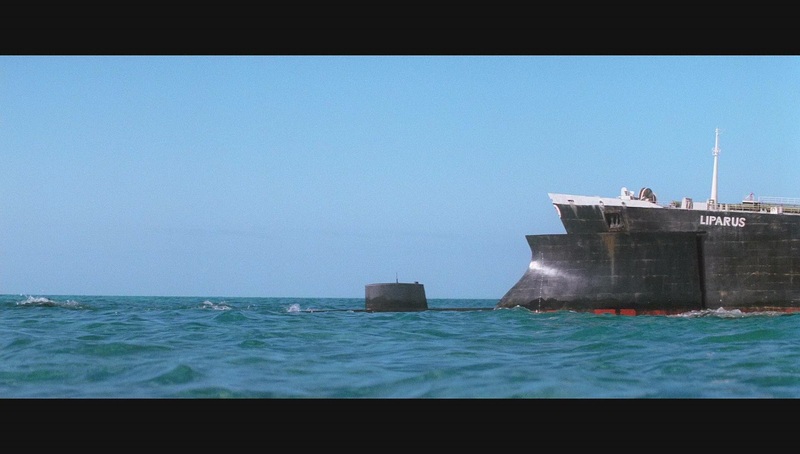 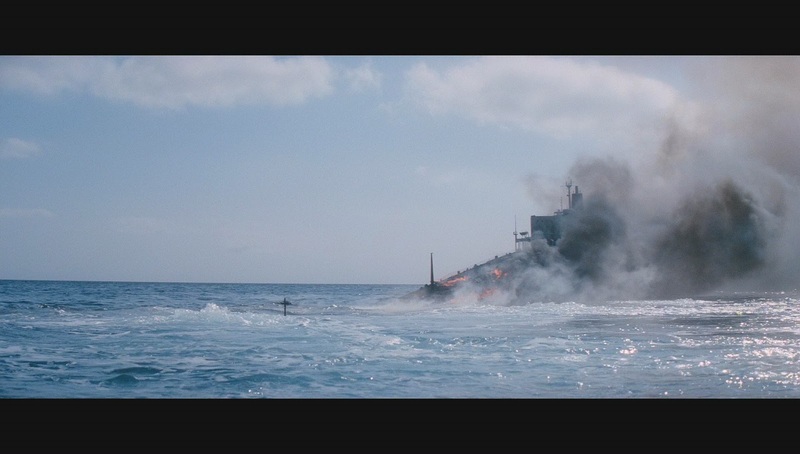 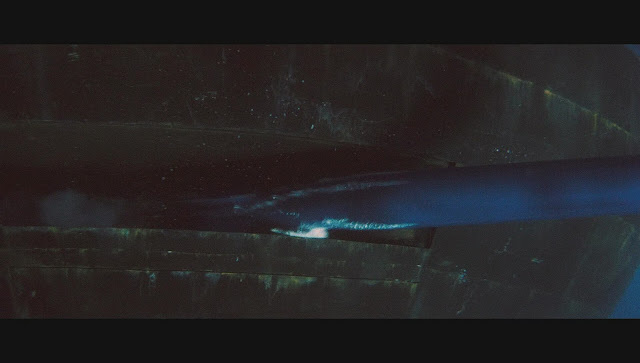 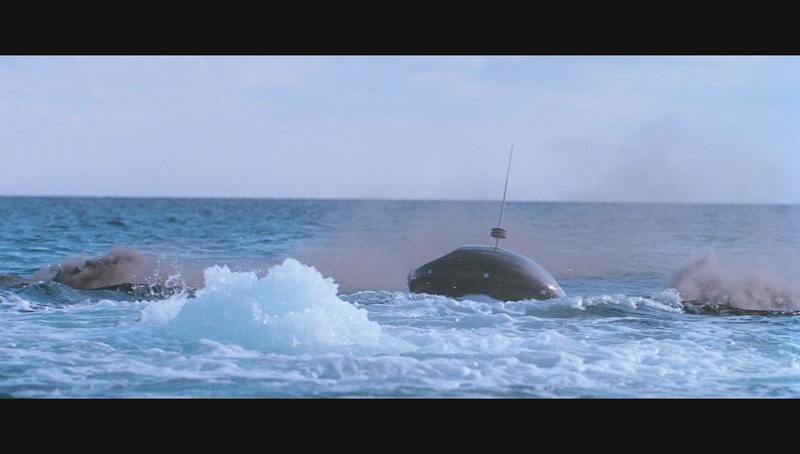 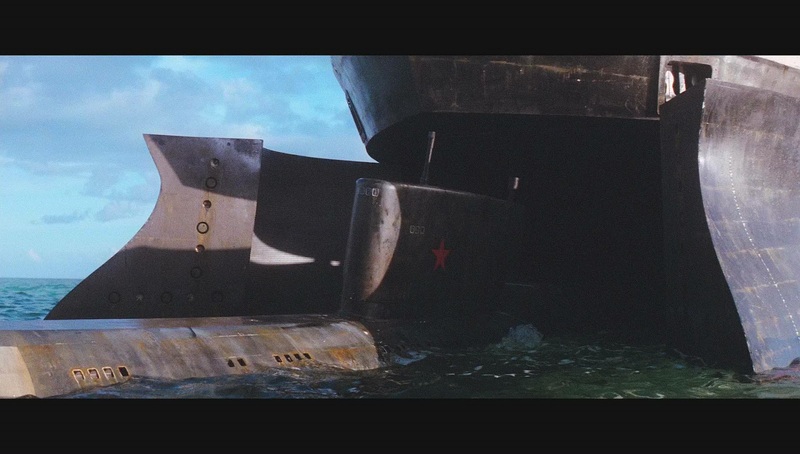 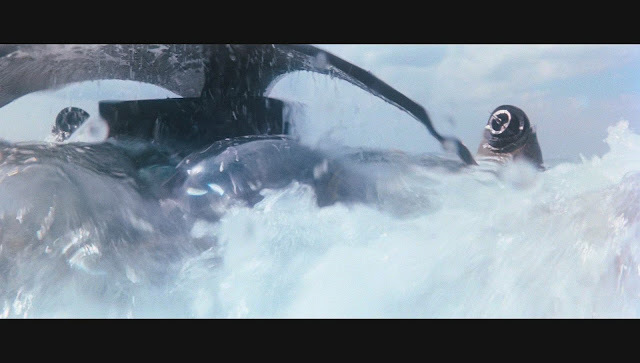 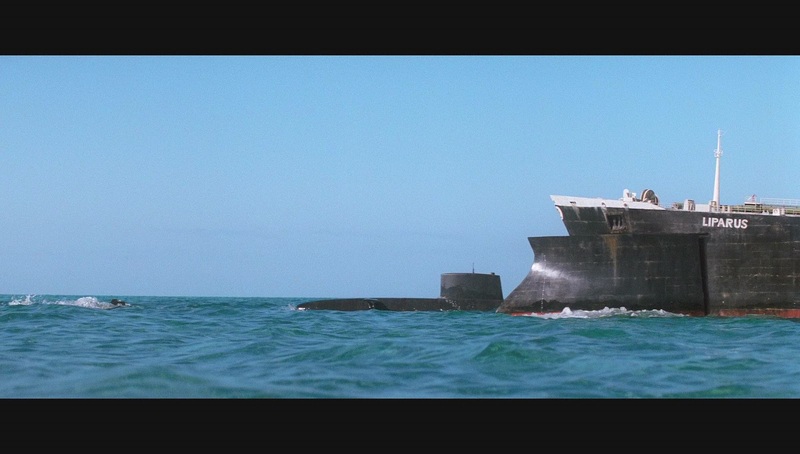 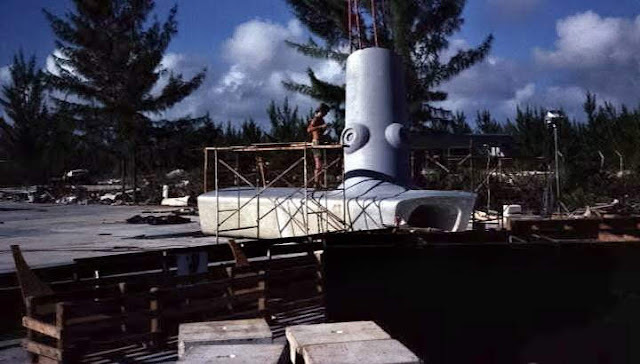 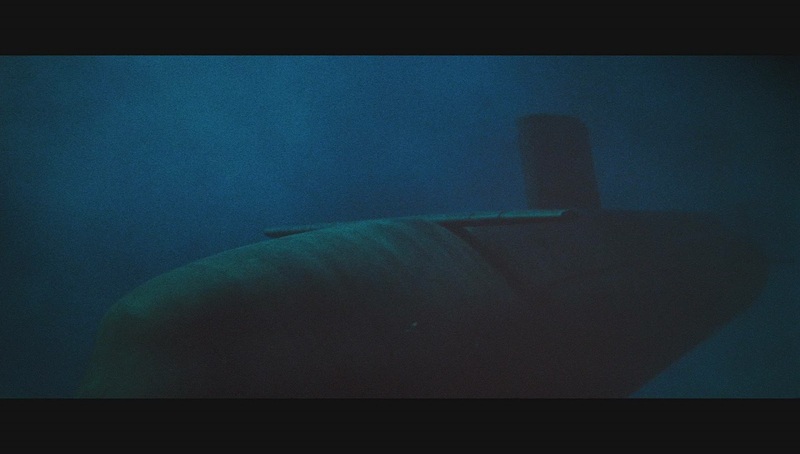 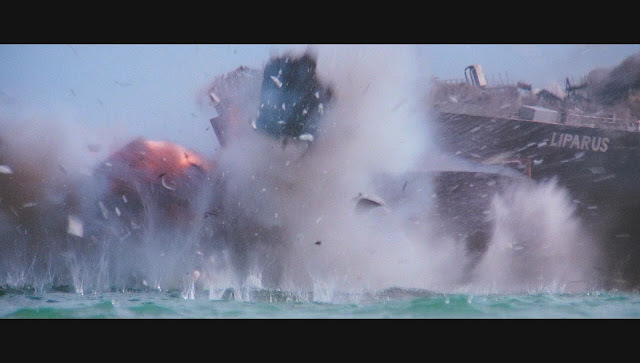 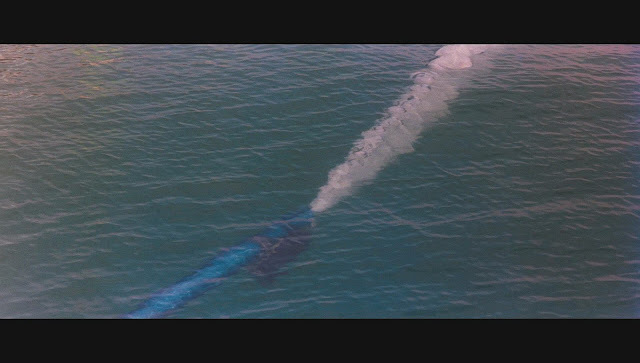 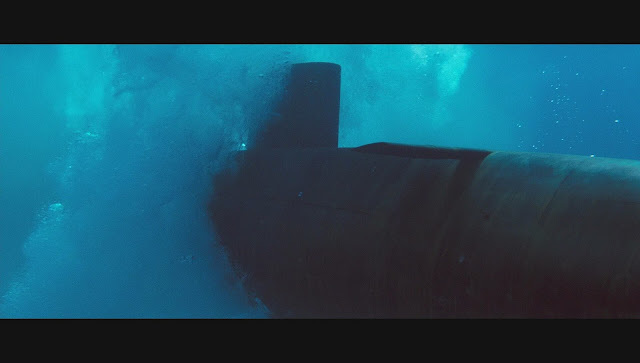 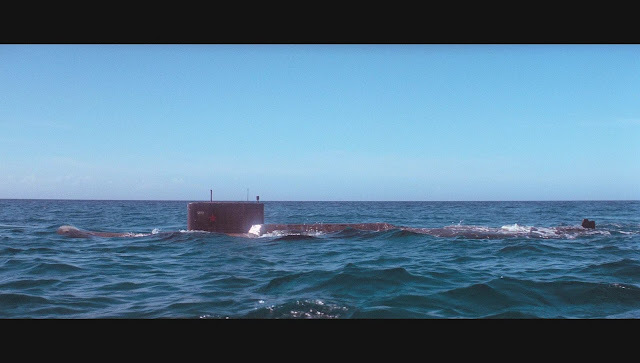 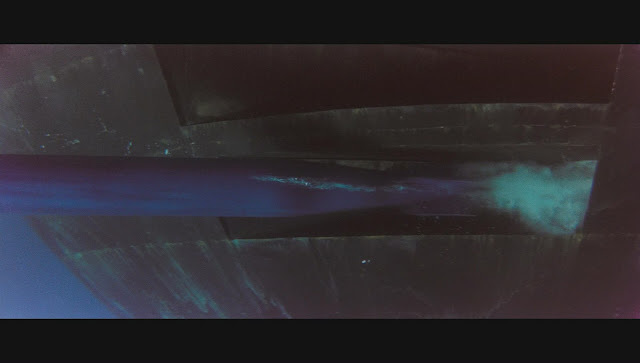 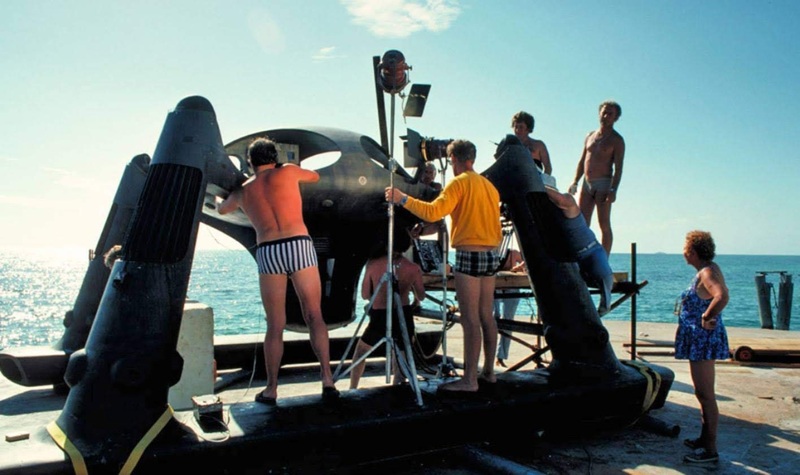 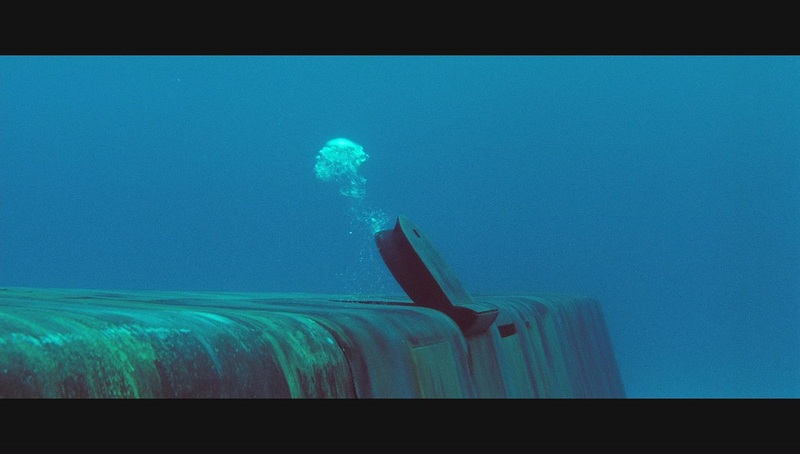 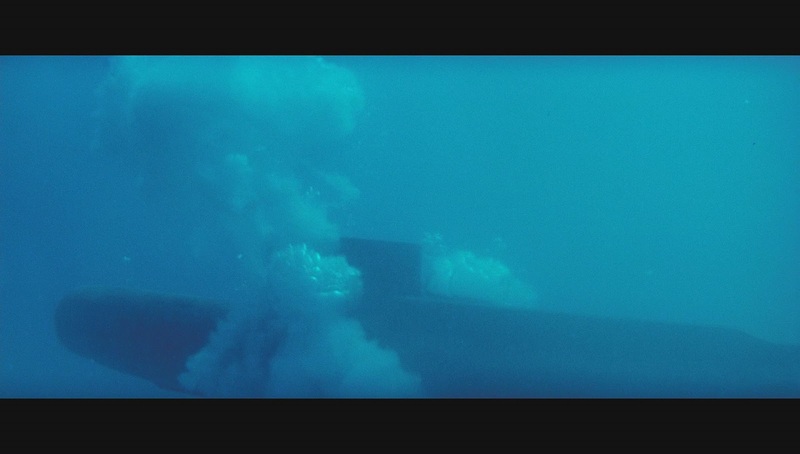 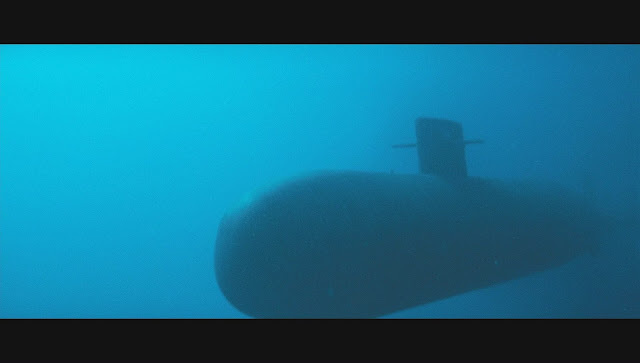 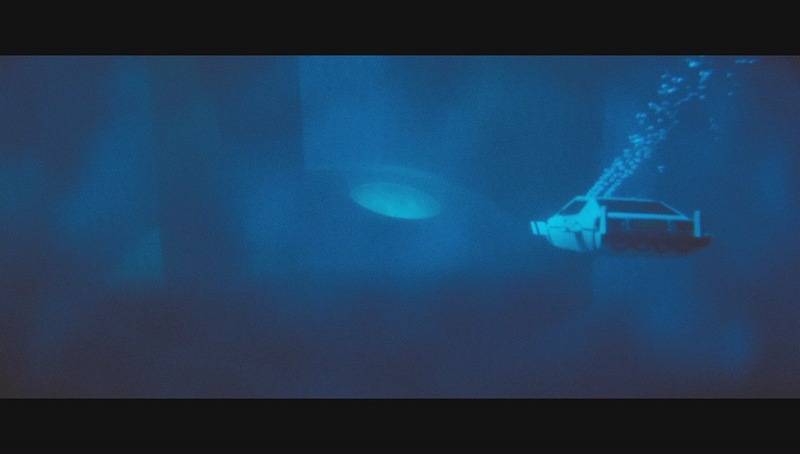 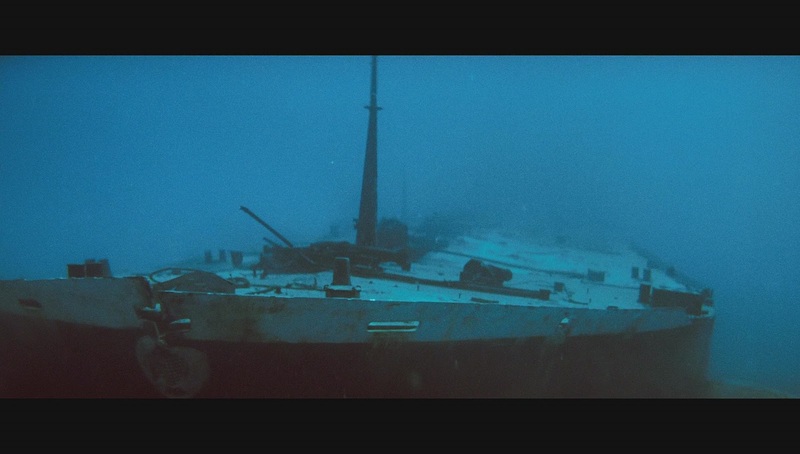 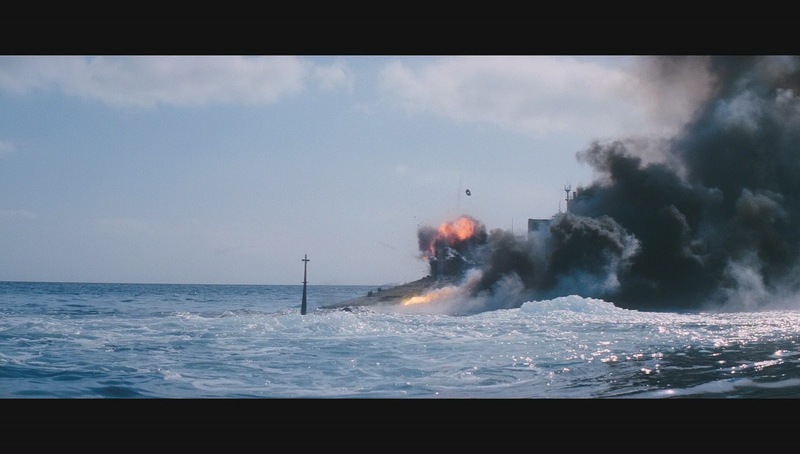 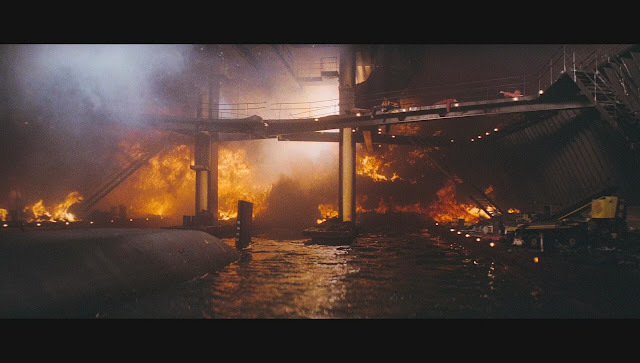 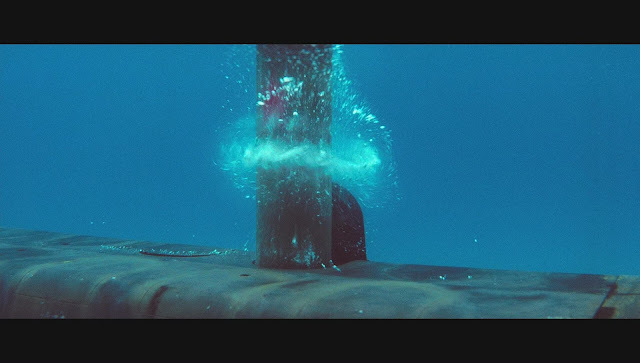 There were two submarine models built for the film, one British and one Russian, in the same scale as the Liparus for the swallowing and subsequent escape scenes as well as some underwater shots. 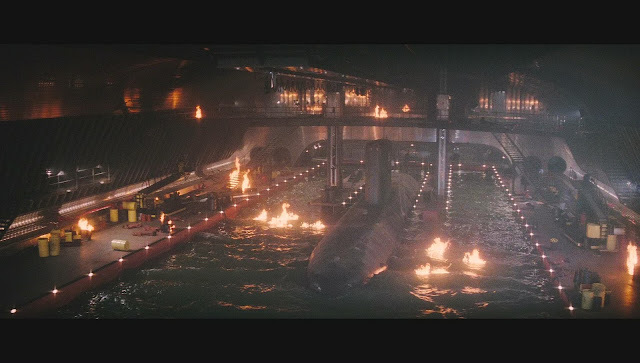 Other miniatures to note are two miniature radio controlled helicopters that are blown up, one deliberately detonated by Stromberg and one from a missile fired by the underwater Lotus, a speed boat that is ejected from the side of the Atlantis and an escape pod that is jettisoned carrying the heroes to safety at the end. 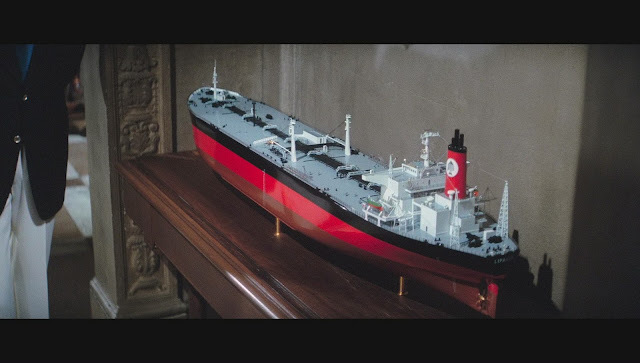 There is also a small scale model of the Liparus displayed in a case in Stromberg's office. Thanks for this entry. 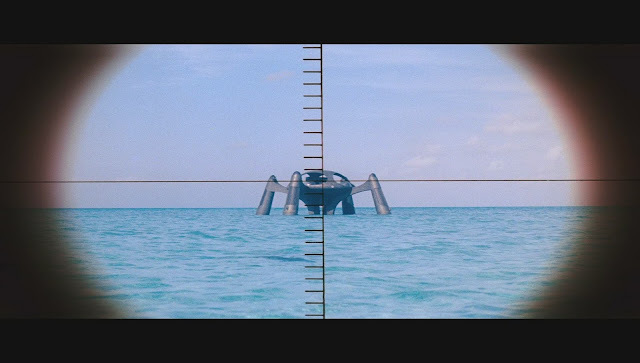 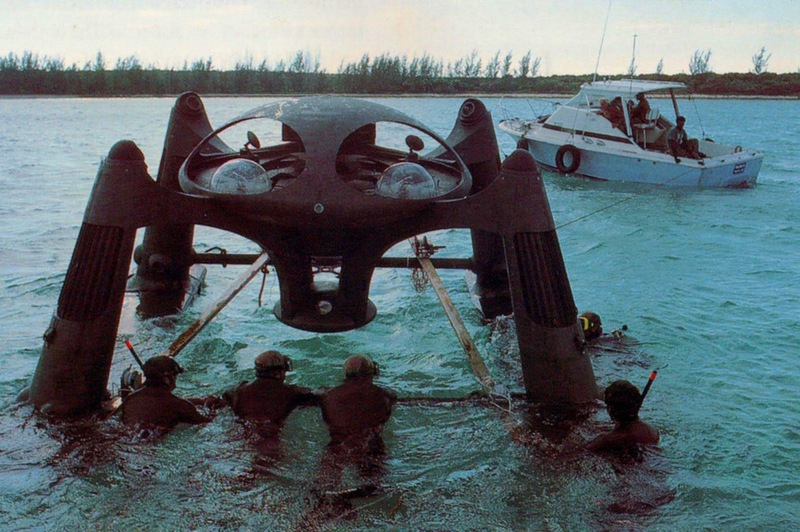 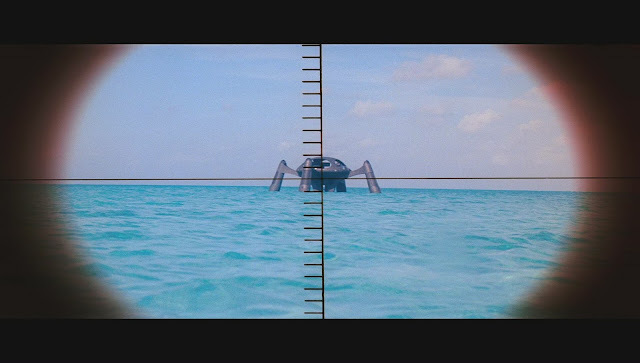 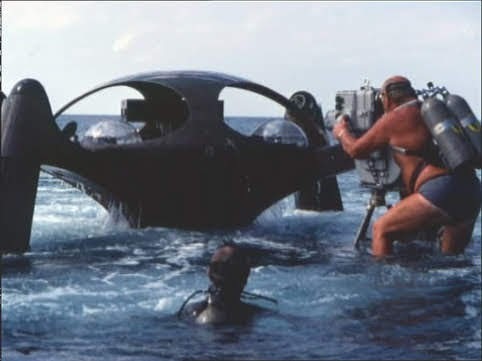 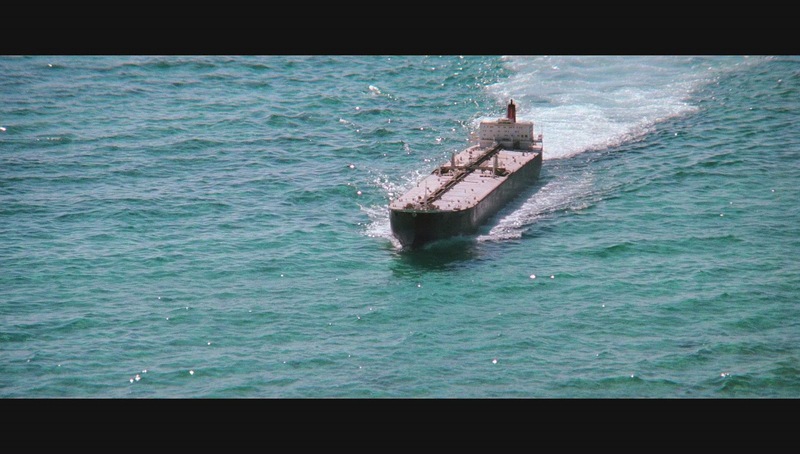 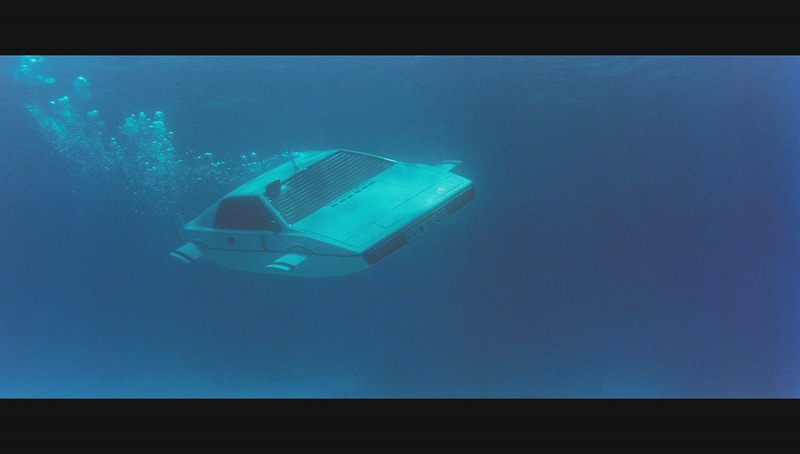 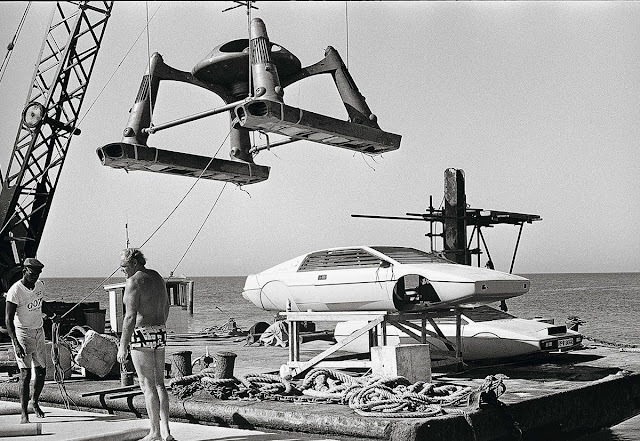 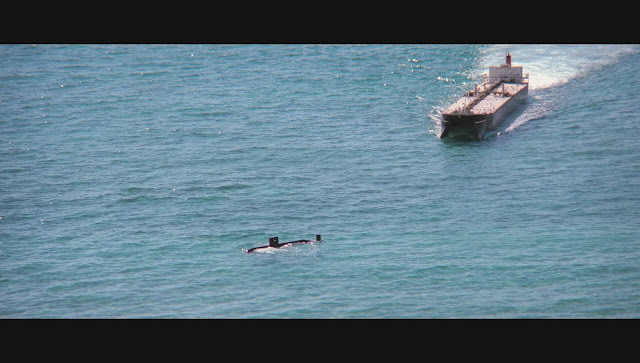 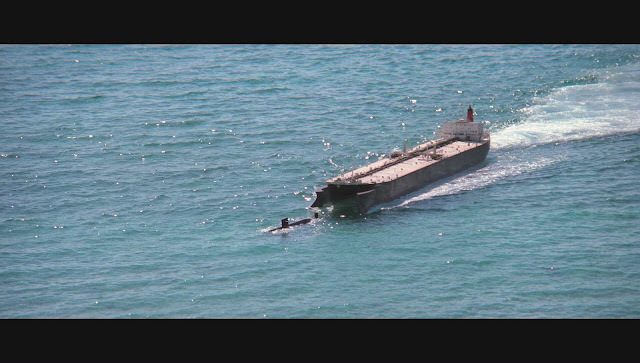 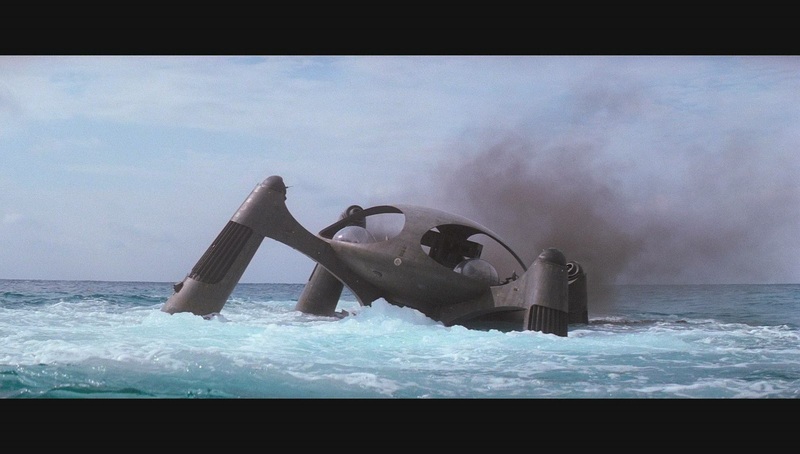 Always liked "The Spy who Loved Me" if for nothing else the Liparus (model and set) and the even more outlandish Atlantis - great closeup pics. 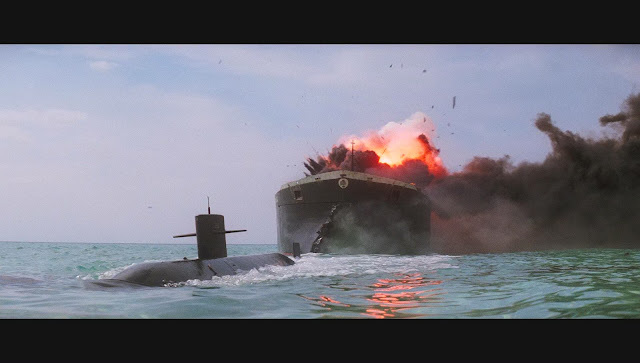 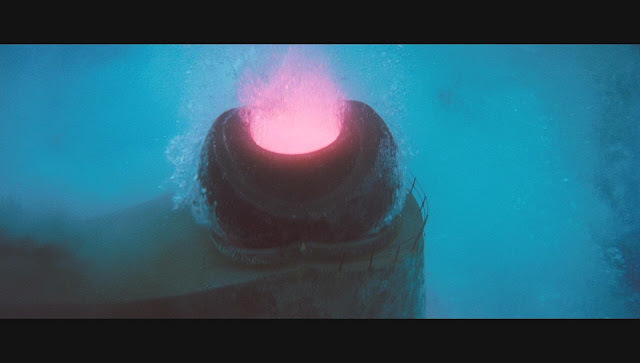 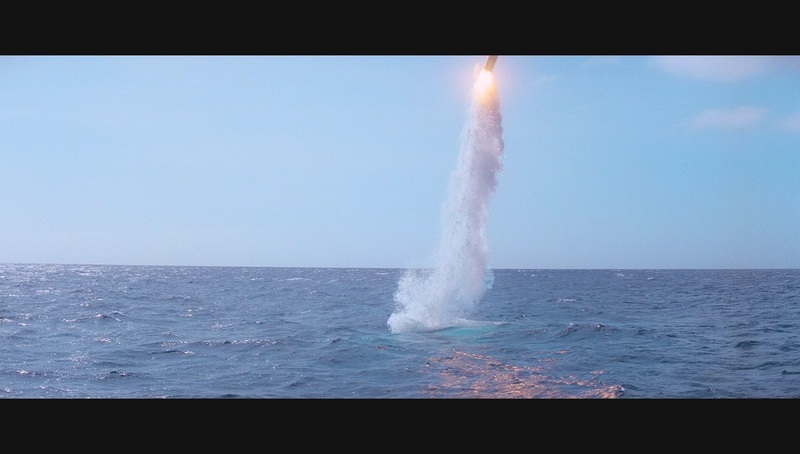 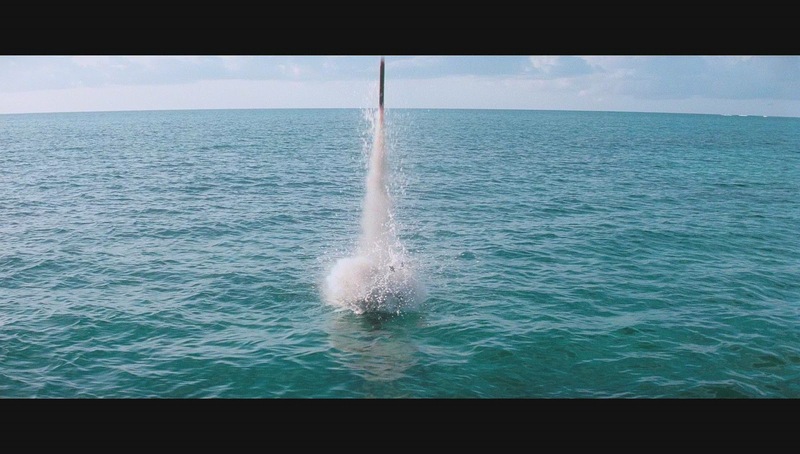 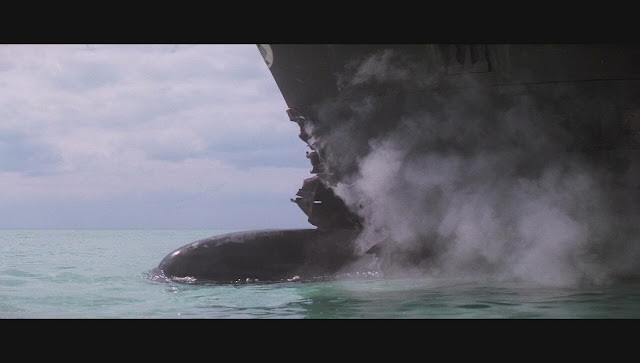 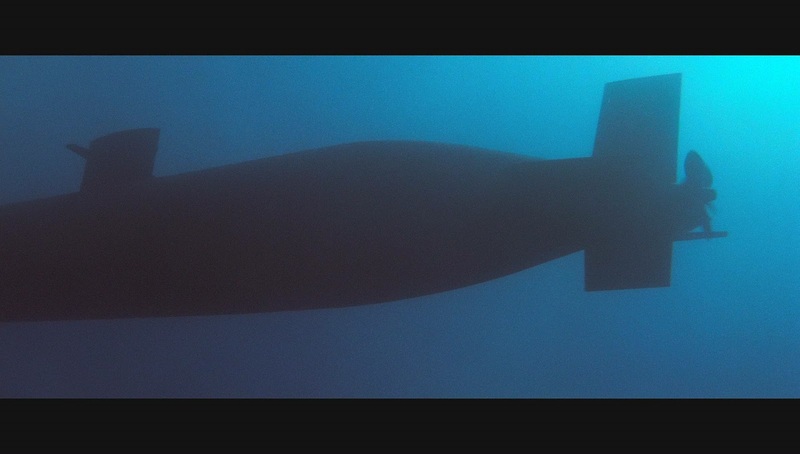 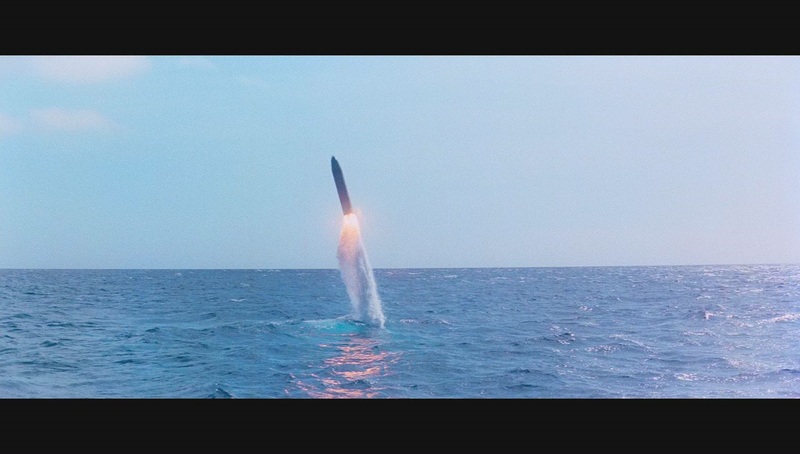 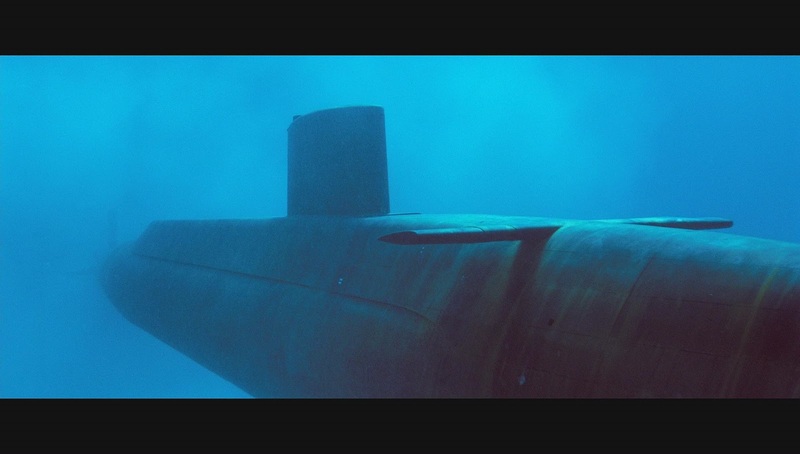 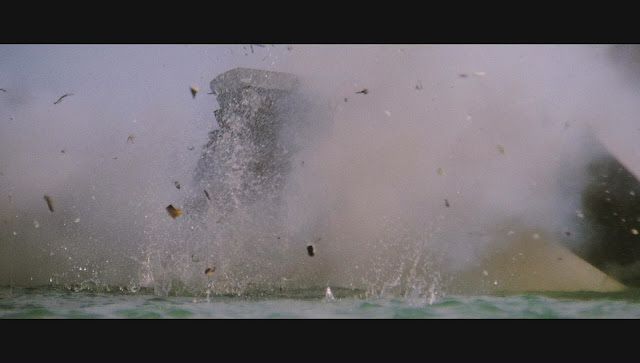 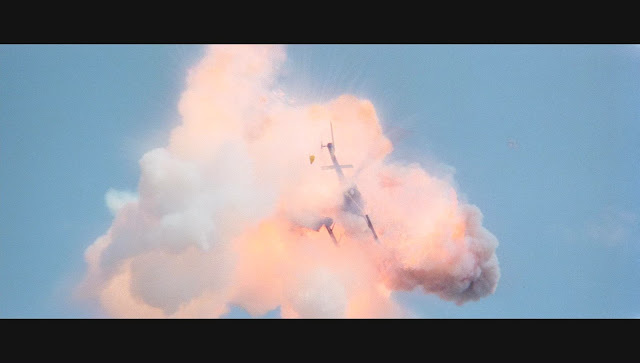 By the way an error: "and one from a missile fired by the underwater missile" ... "underwater missile" should be "underwater Lotus". 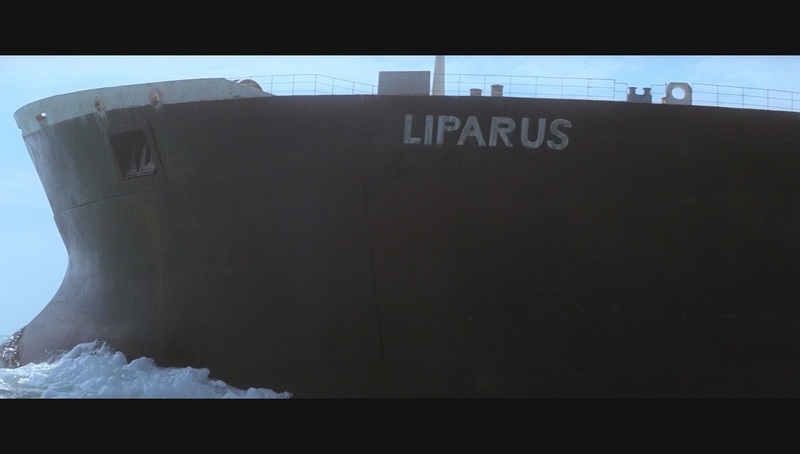 Thanks for spotting that, it's now fixed. 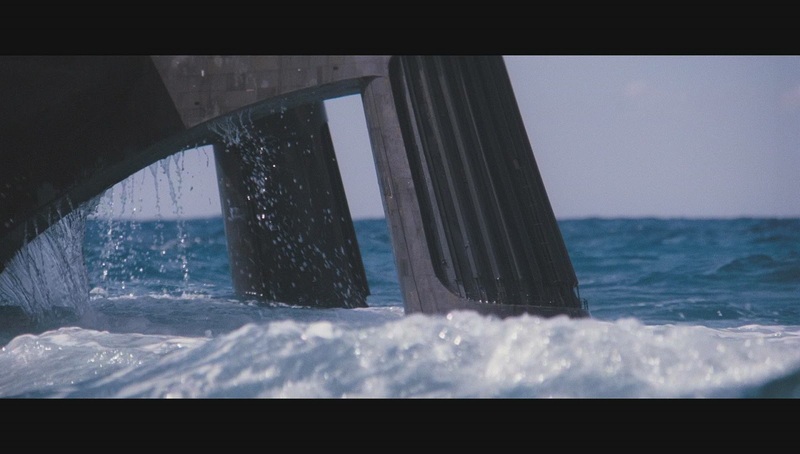 What a fabulous post. 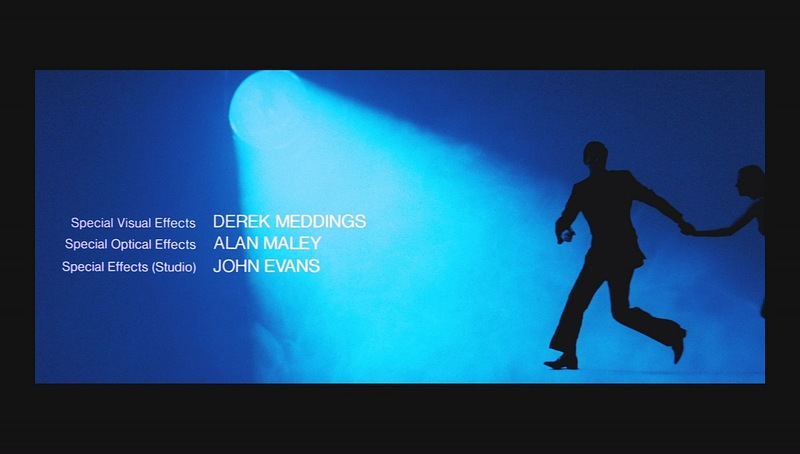 Without a doubt, some of Derek's most impressive work, and that's saying a lot!